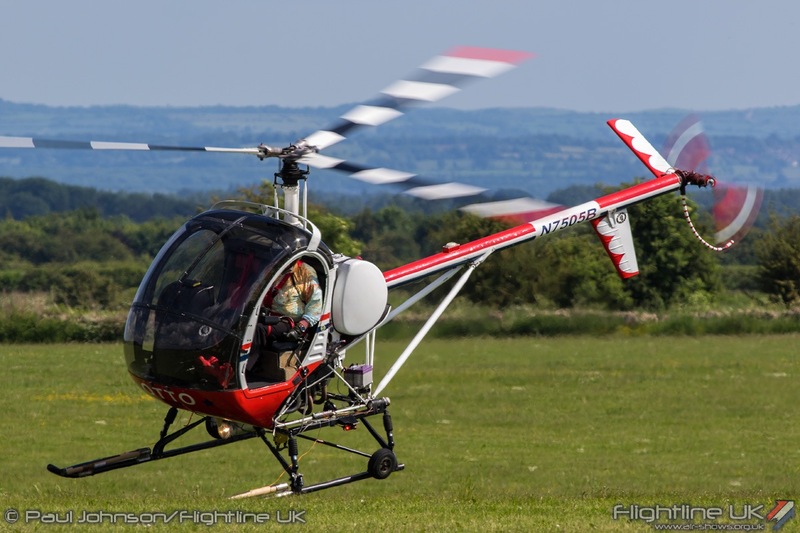 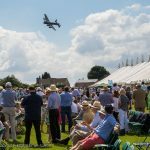 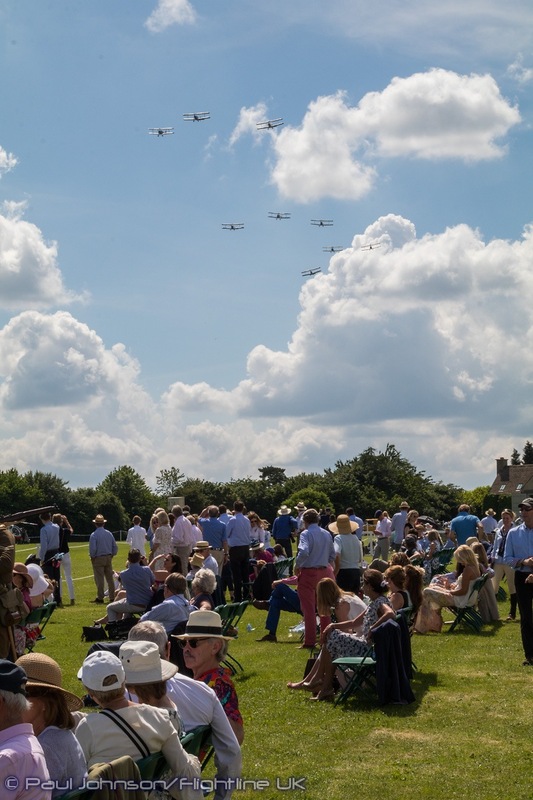 On Sunday 3rd June, a very special RAF100 event took place in the Cotswolds at RFC Rendcomb. 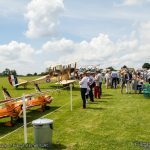 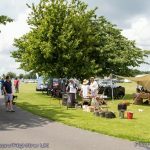 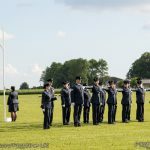 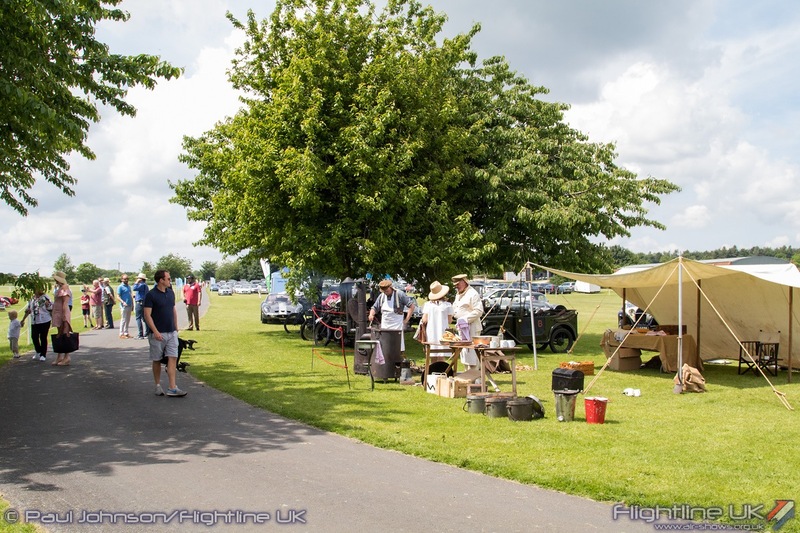 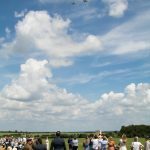 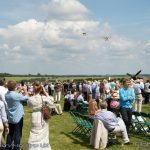 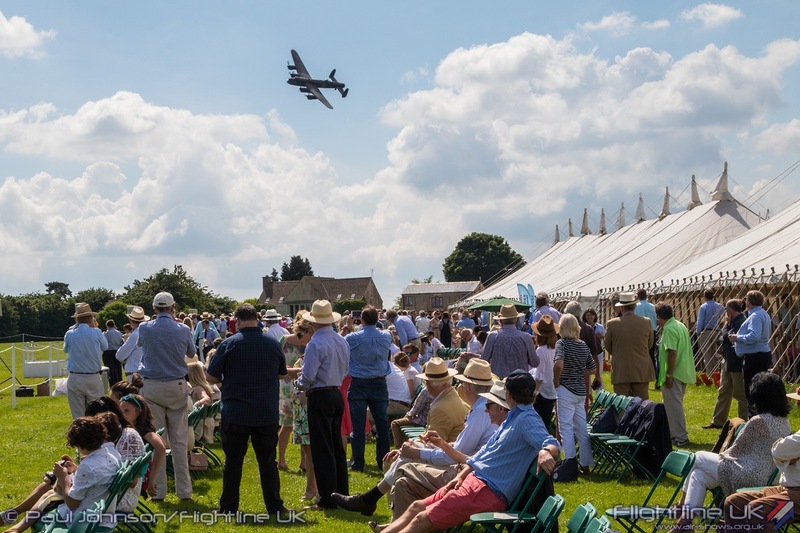 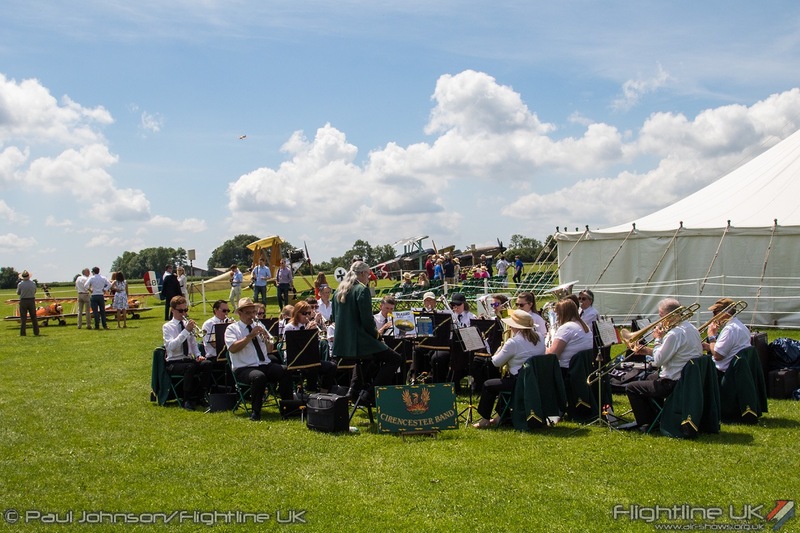 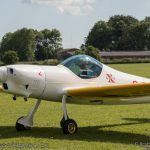 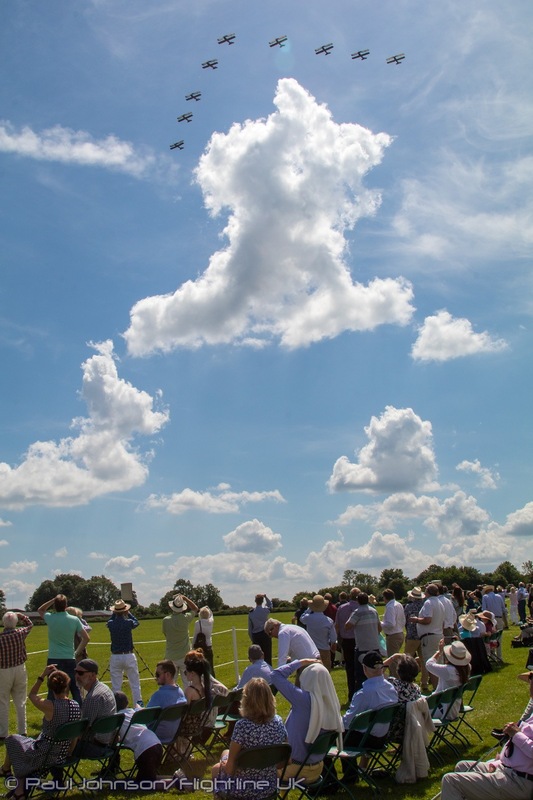 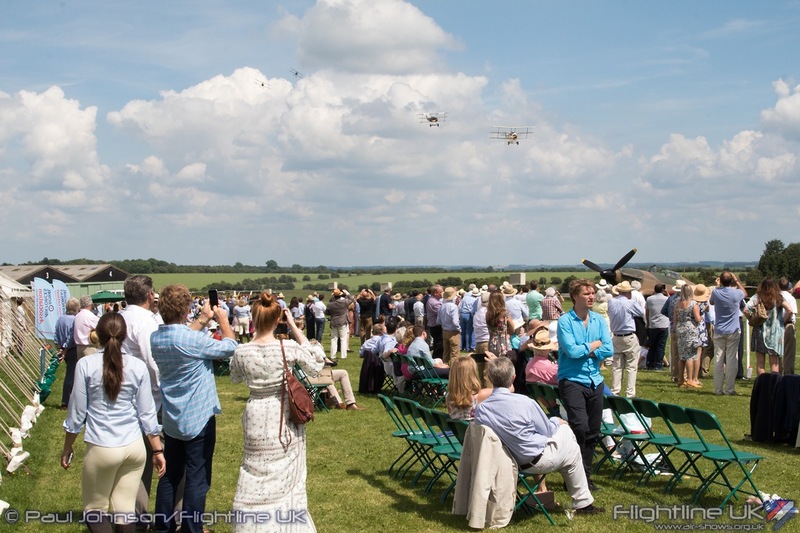 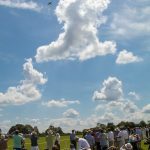 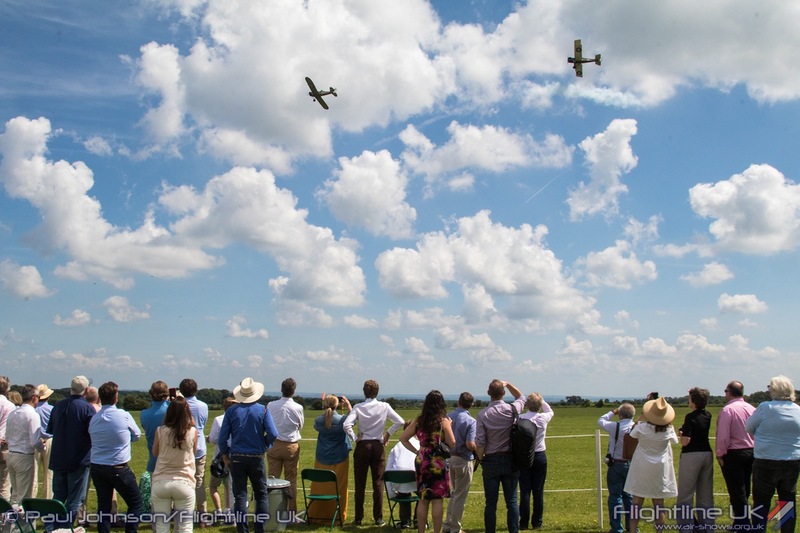 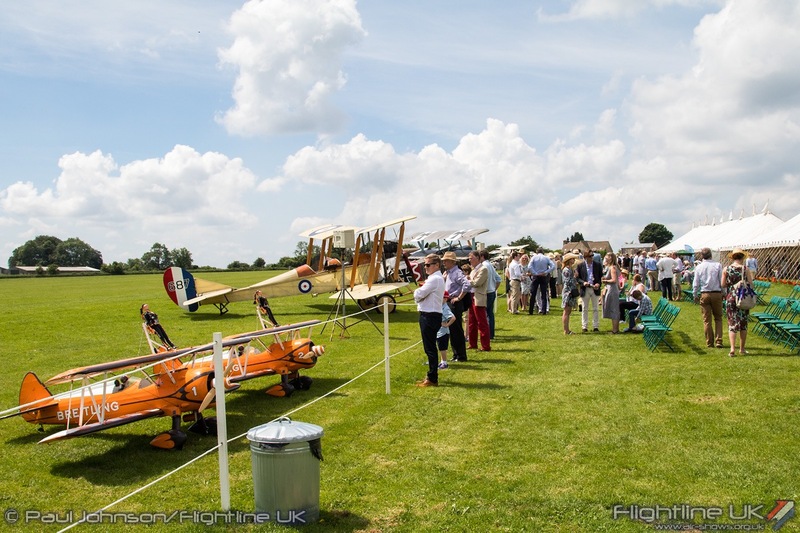 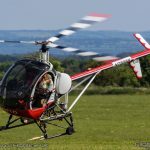 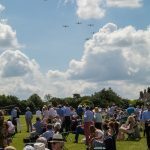 Hosted by Vic and Anne Norman, the RFC Rendcomb Aerial Pageant supported the Royal Air Forces Association with an afternoon of entertainment in the air and on the ground for invited guests. 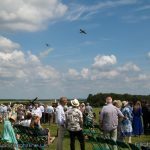 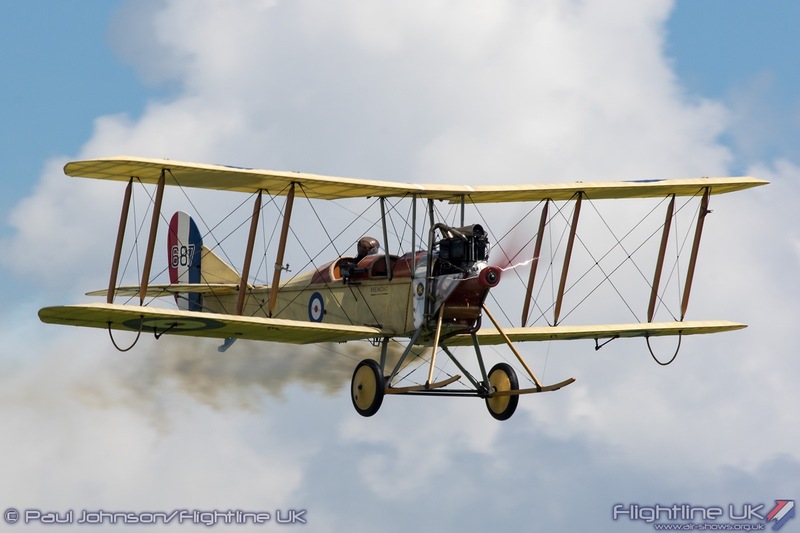 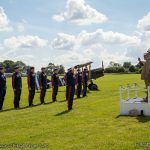 The afternoon air displays included World War One re-enactments, 1930’s biplanes, warbirds, aerobatics, helicopters and wingwalking before concluding with a special RAF100 sunset ceremony. 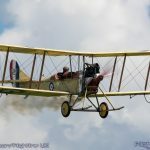 On the 1st April 1918, the Royal Air Force was formed as the world’s first independent air arm from the assets of the Royal Flying Corps and the Royal Naval Air Service. 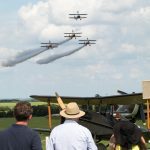 Rendcomb opened as a Royal Flying Corps aerodrome in 1916 as a training base before closing in 1919 following the end of the First World War. 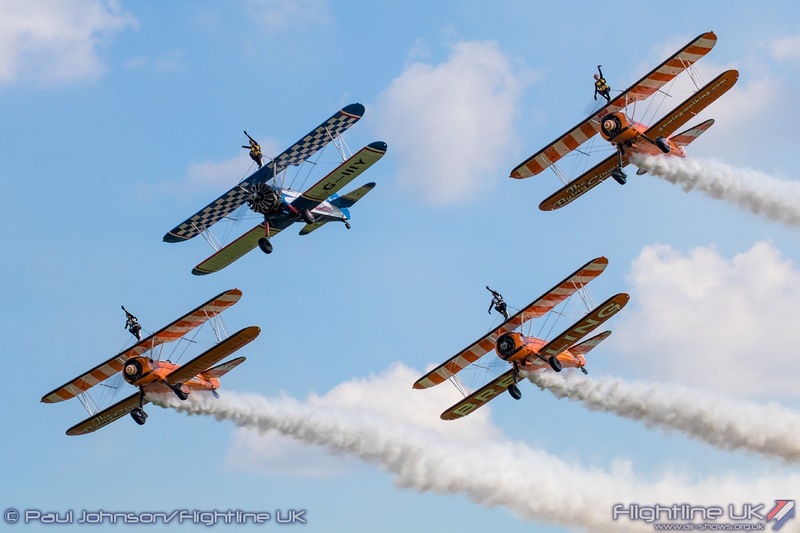 Today, it has been faithfully restored to its former glory and is a base for a number of vintage aircraft and the world famous Aerosuperbatics Wingwalking Team. 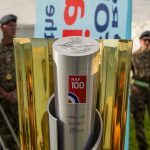 The Royal Air Force centenary year is a very important one for all of the RAF Charities. 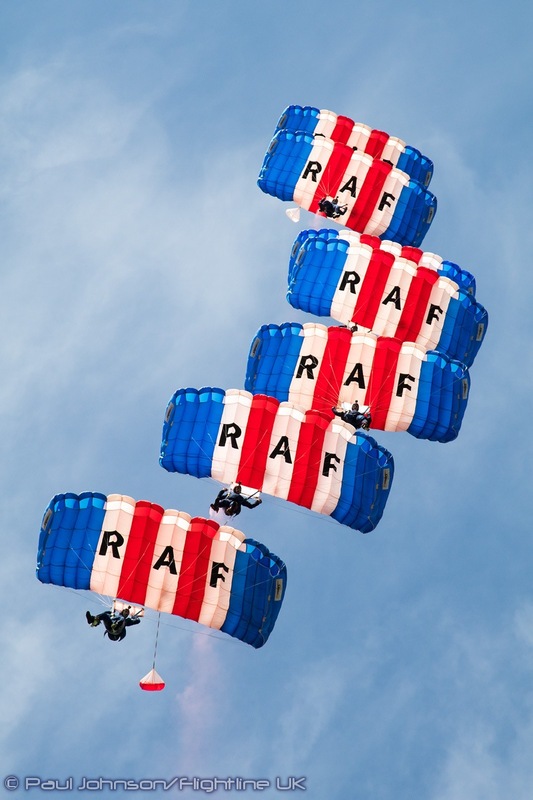 The Royal Air Forces Association which co-hosted the Pageant provides welfare support to the wider RAF family. 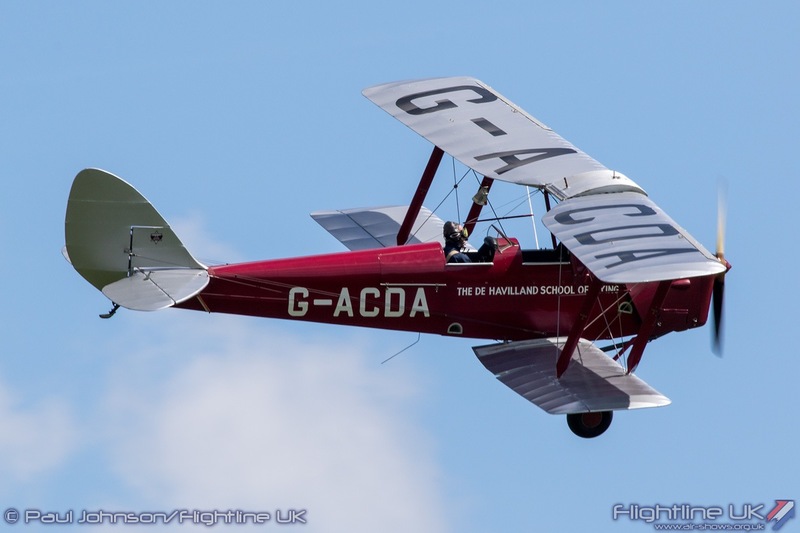 It formed in 1930 and was officially recognised by the Air Council in 1933. 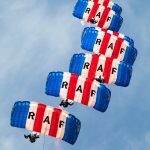 Ever since the Association has supported RAF personnel and their families and today boasts over 400 branches worldwide. 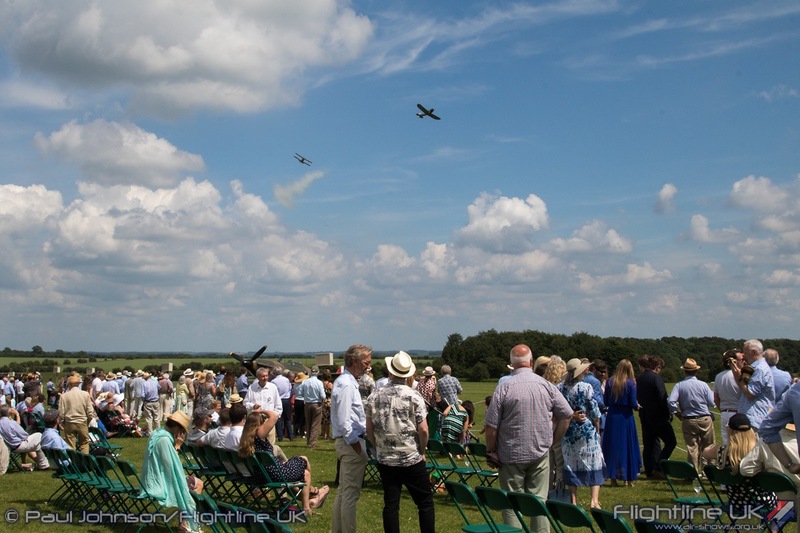 The invited guests were treated to a 1918 revival as they arrived at the pageant with several re-enactors recreating a First World War military camp around the original Royal Flying Corp buildings and hangars. 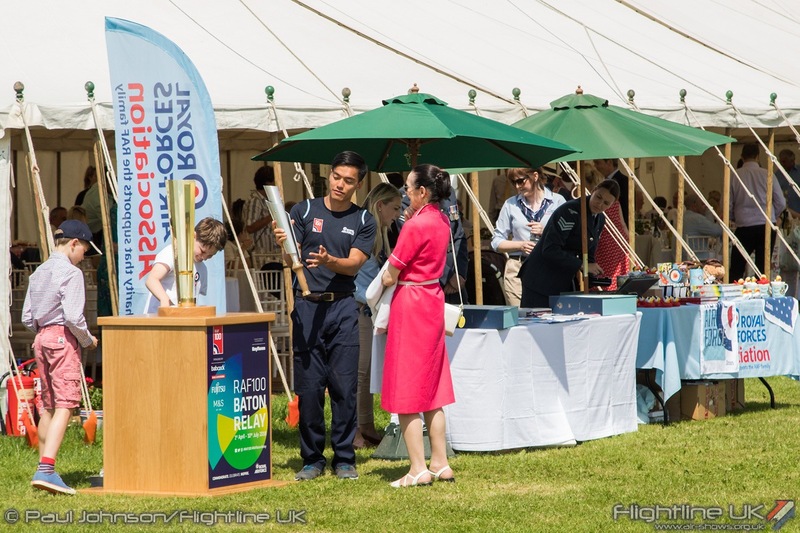 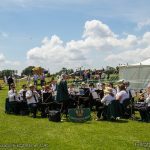 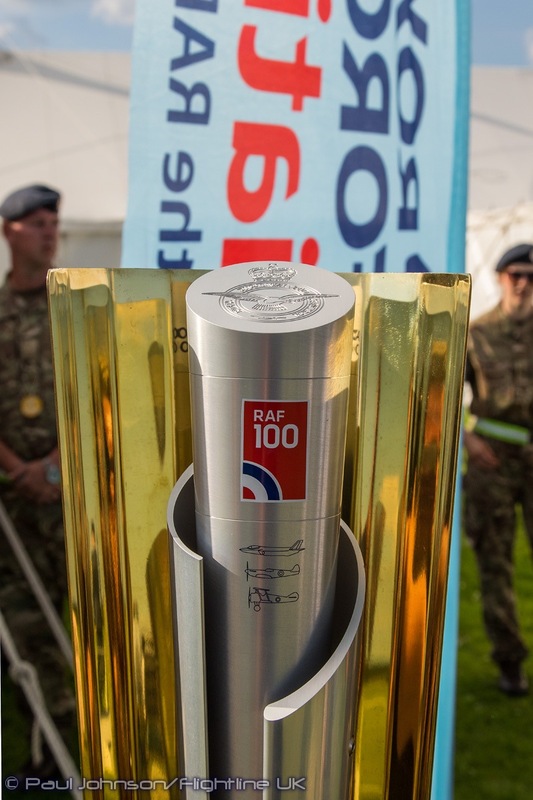 Rendcomb was also a stop for the RAF100 Baton Relay and it took pride of place in the centre of garden area which was also treated to entertainment from large scale radio controlled model aircraft and live music. 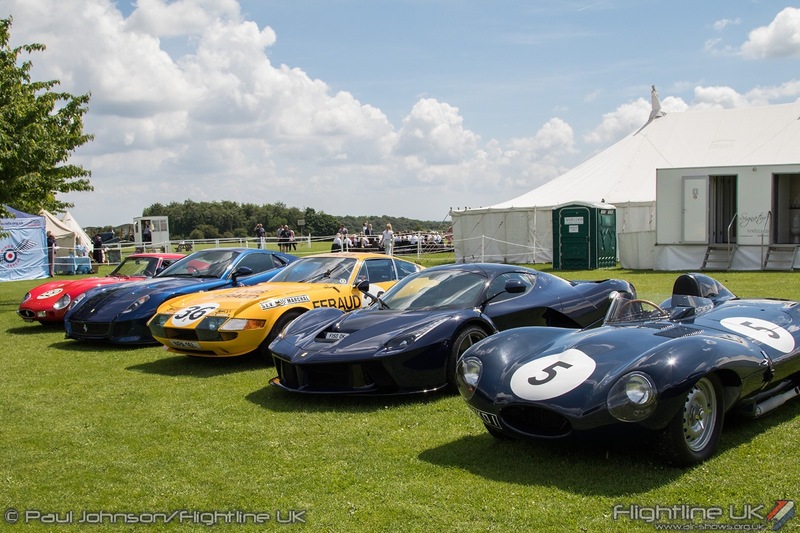 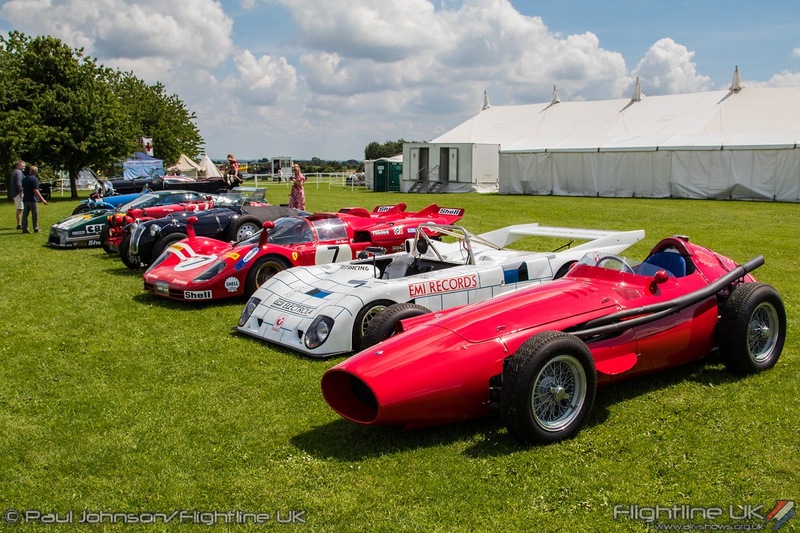 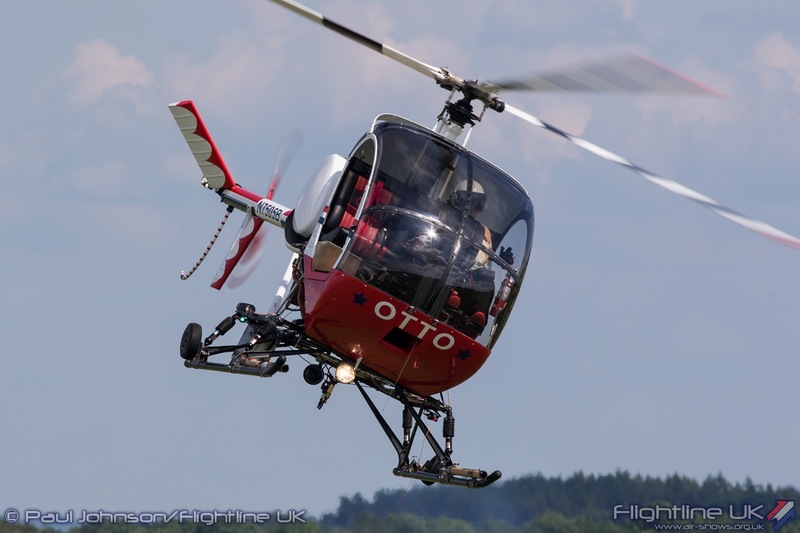 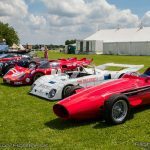 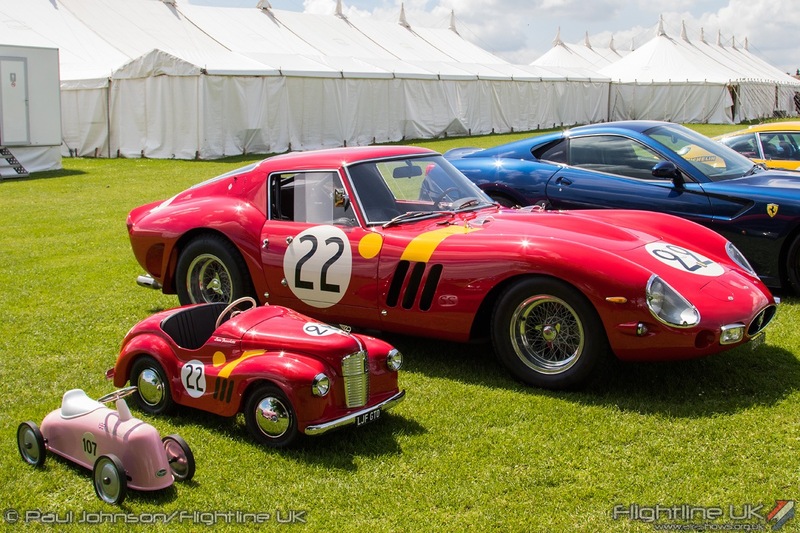 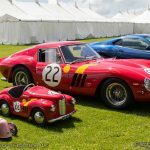 The aerodrome is also home to the private classic car collection of Pink Floyd’s Nick Mason and some of his incredible fleet of racing and super cars were put on display. 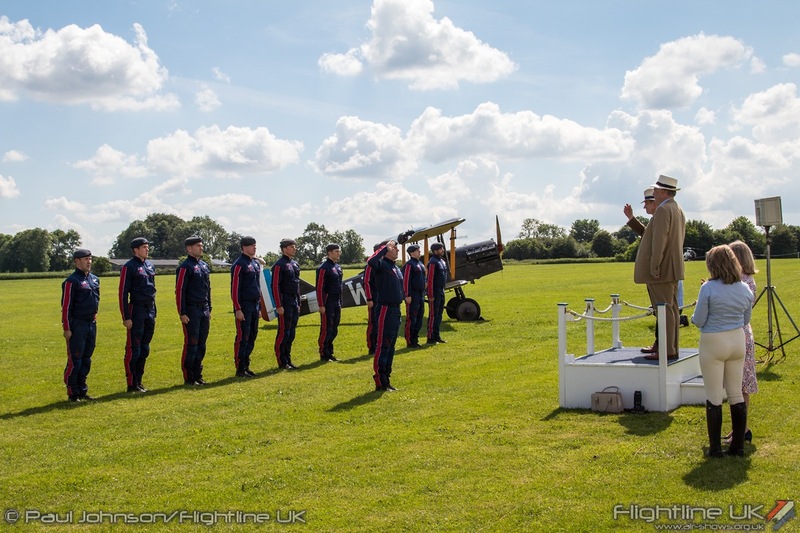 There could be a more appropriate starting point for the Aerial Pageant than the Bremont Great War Display Team who brought to life the very origins of the Royal Air Force. 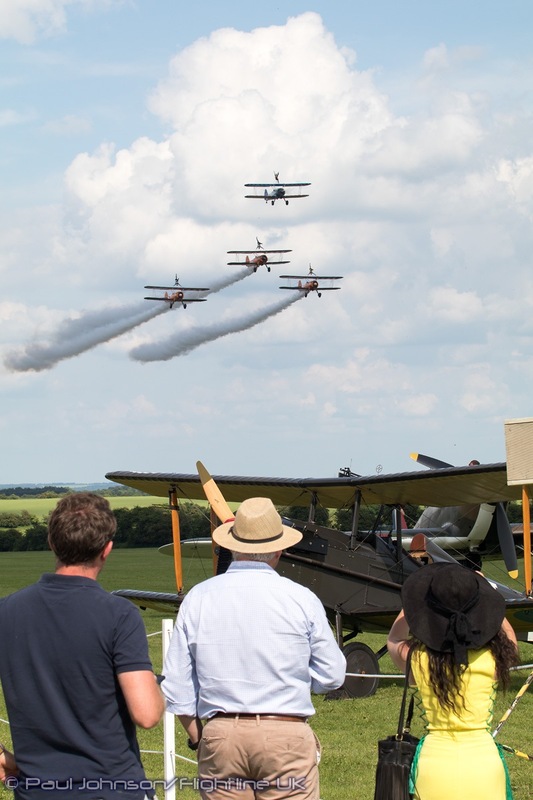 Their display is always a spectacle, but it’s so very much more impressive in an intimate setting like Rendcomb. 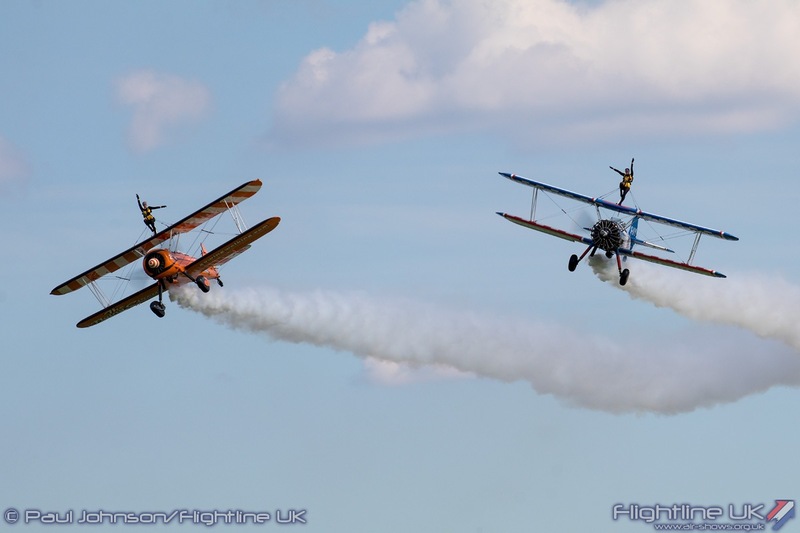 Their swirling dogfights and supporting pyrotechnics really grabbed the attention of the guests who were enthralled. 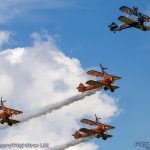 Another big team display followed with the Tiger9 Display Team who filled the skies with eight de Havilland DH82a Tiger Moths and a DH60G Moth Major. 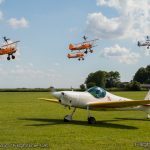 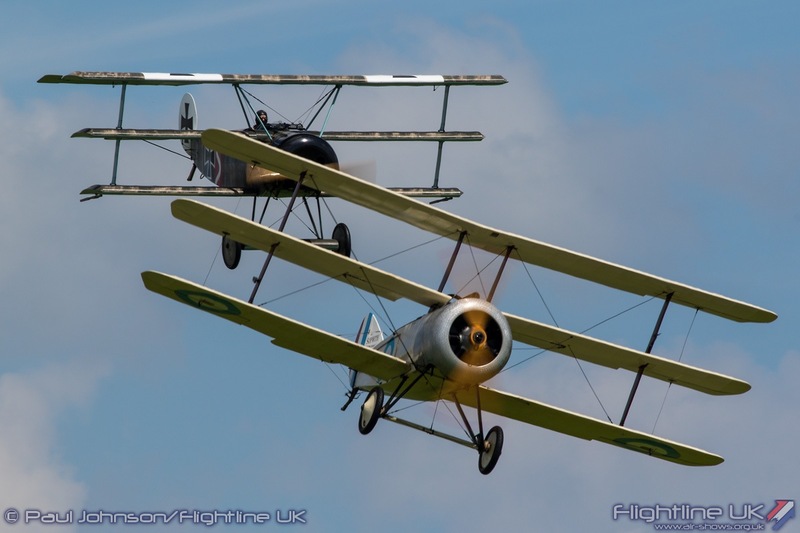 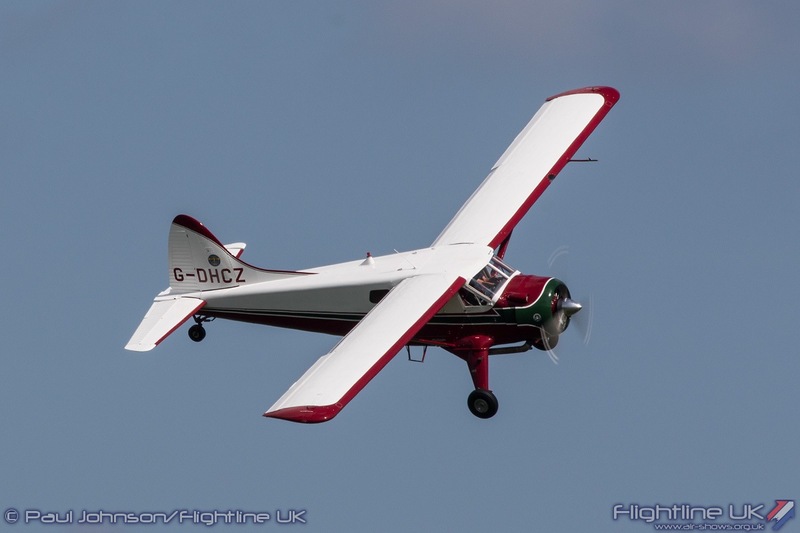 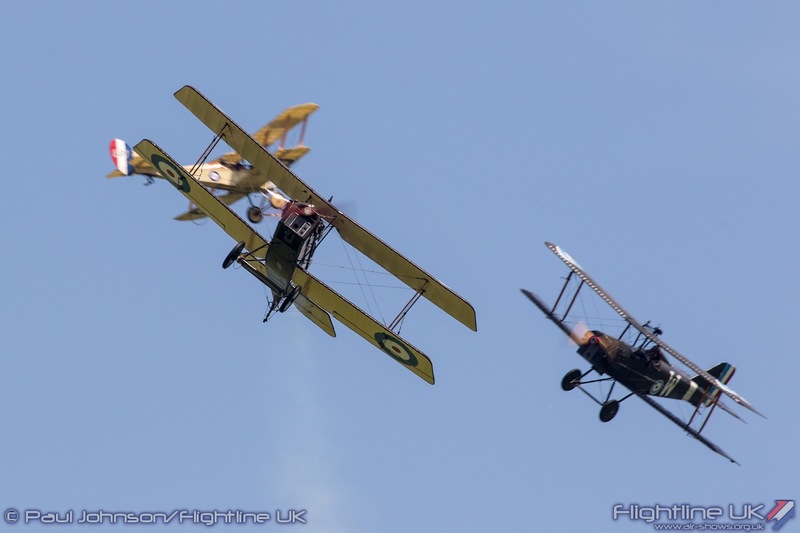 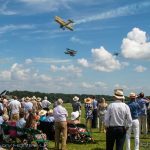 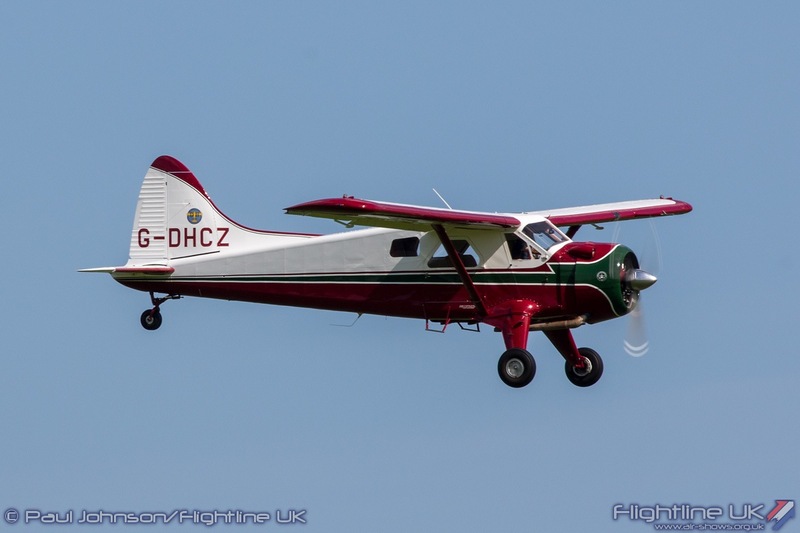 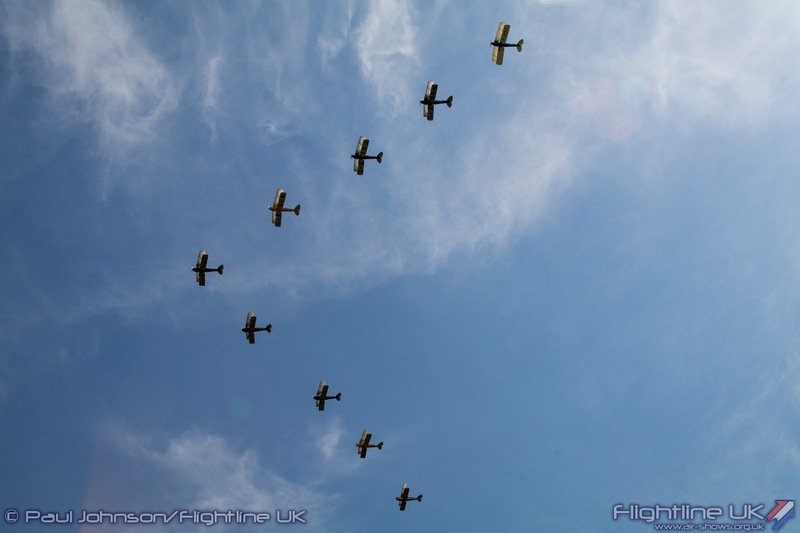 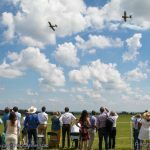 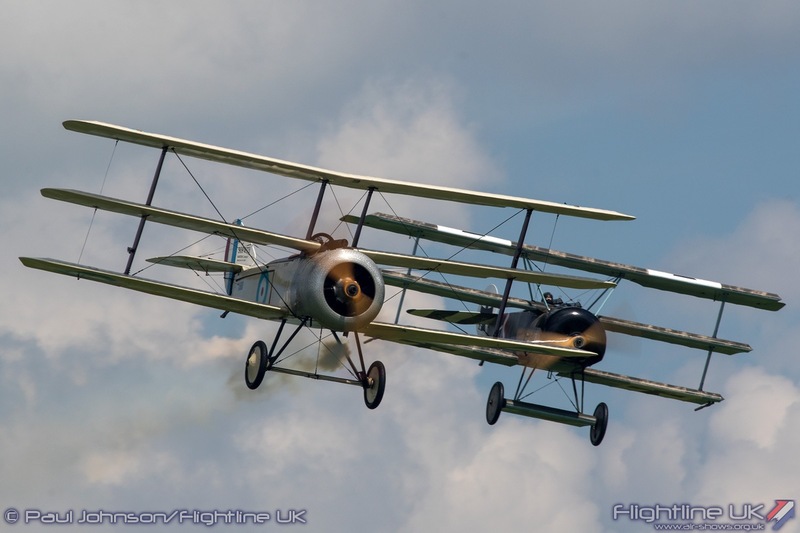 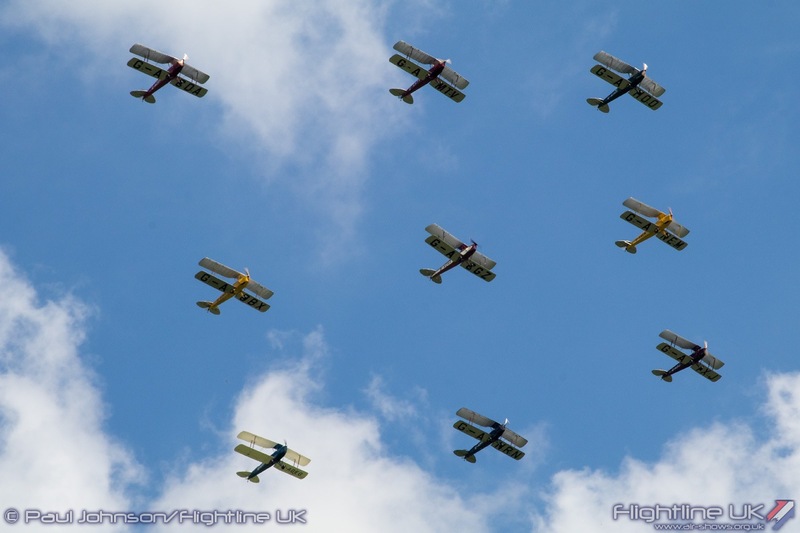 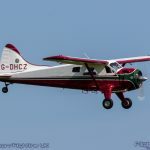 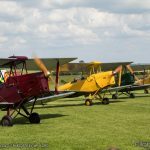 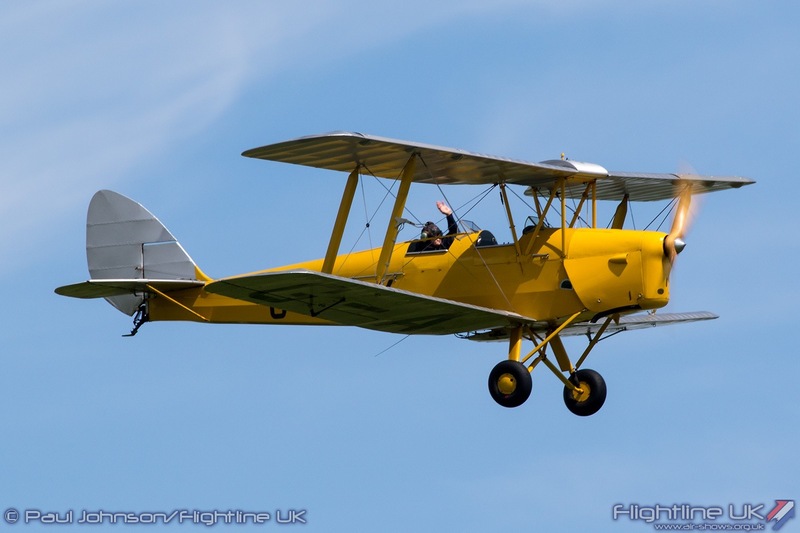 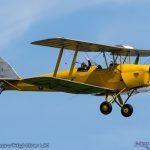 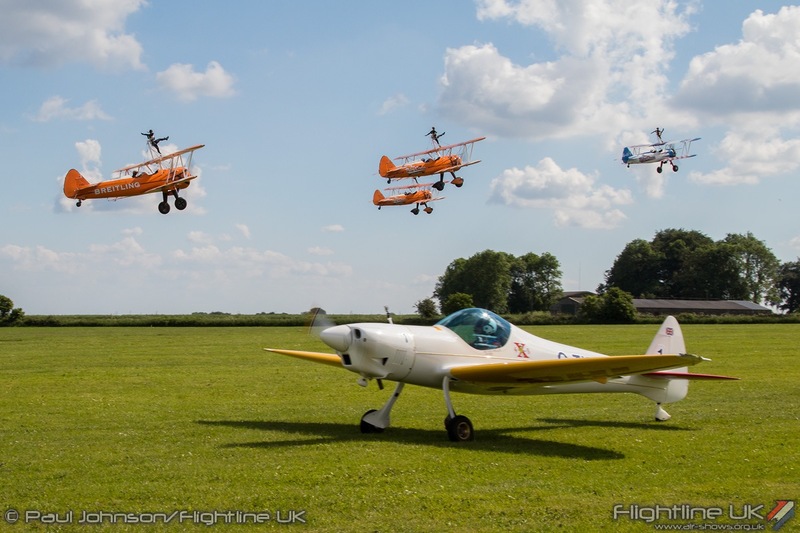 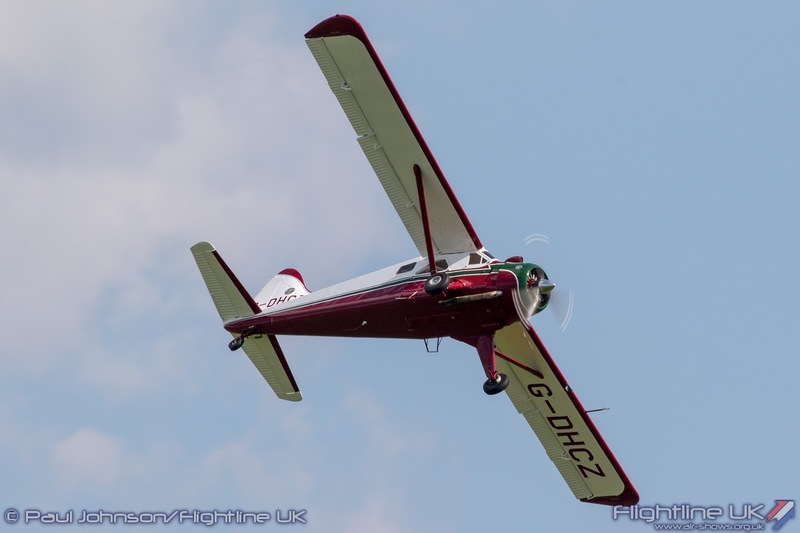 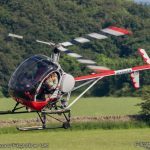 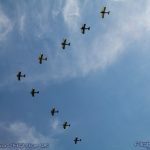 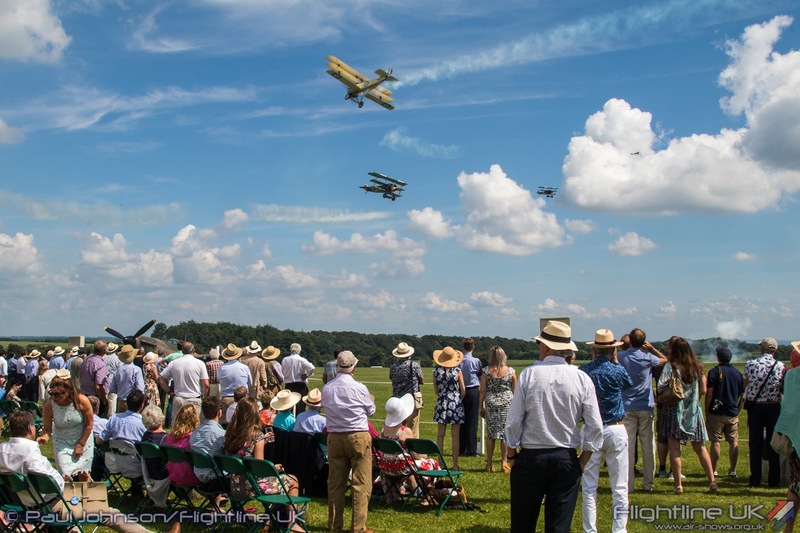 “Aerial Pageant” conjures images of air displays of the 1920’s and 1930’s and the sight of nine beautiful de Havilland biplanes over the all grass aerodrome really brought those halcyon days to life. 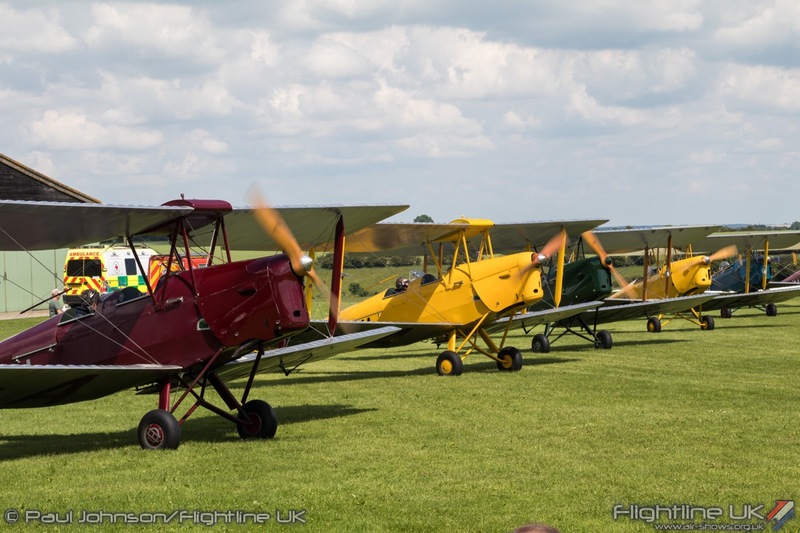 No display at Rendcomb would be complete without some barnstorming and colour. 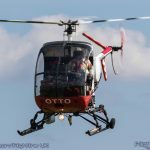 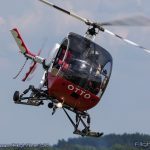 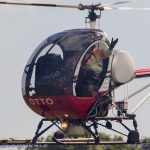 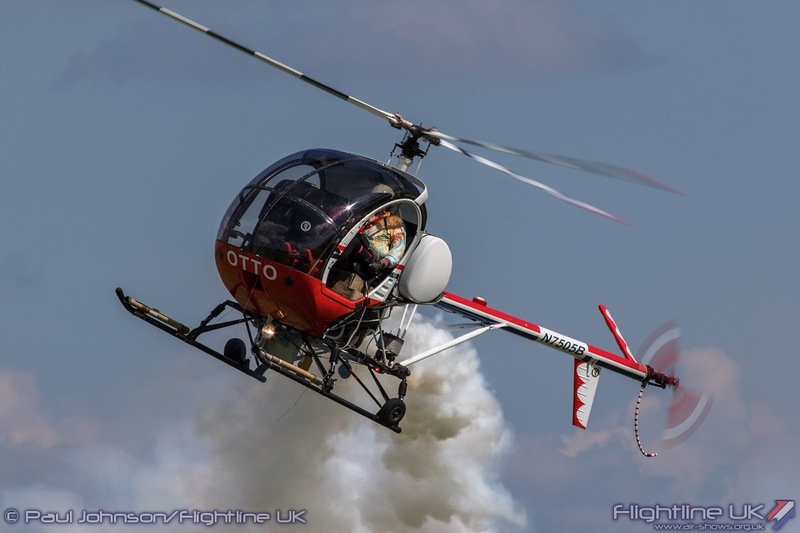 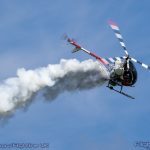 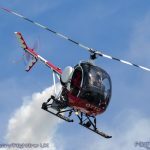 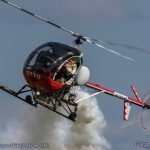 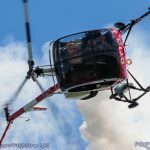 Brendan O’Brien brought OTTO the Helicopter (actually a Schweizer S300C training helicopter) for his own unique brand of “chopperbatics.” OTTO has an immense smoke system, but Brendan augmented this was some black smoke trails and some pyrotechnics mounted to the skids for some added panache. 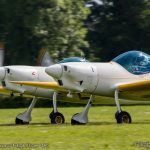 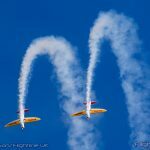 Adding a touch of modern elegance to proceedings was the Twister Aerobatics Team with their pair of Silence SA1100 Twisters. 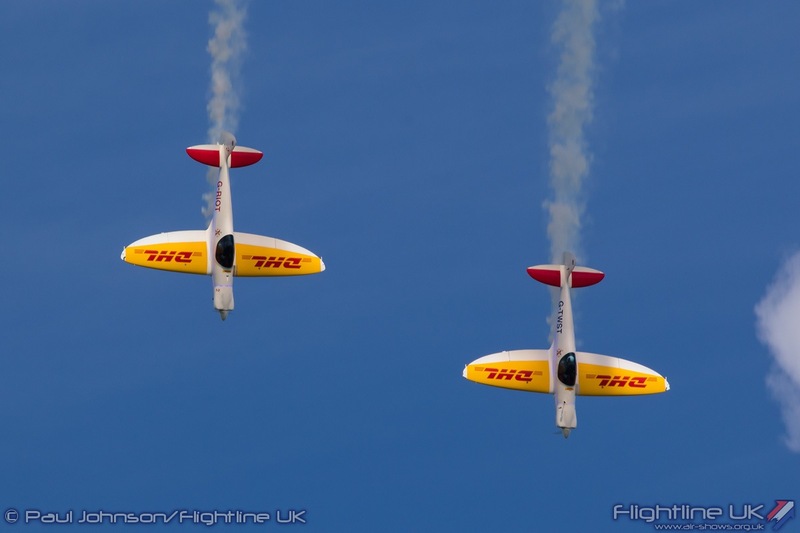 The team consisting of Peter Wells and Chris Burkett recently displayed as far away as Barbados and Dubai and were still wearing some sponsorship colours from touring. 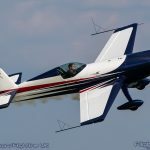 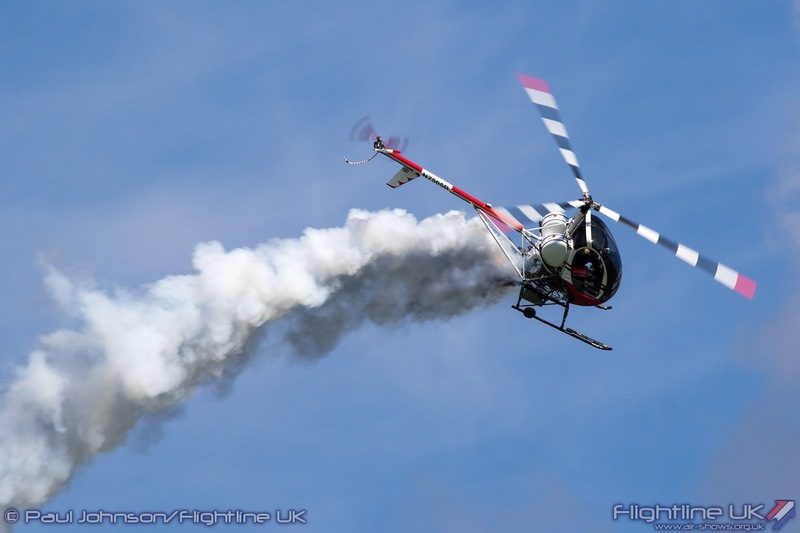 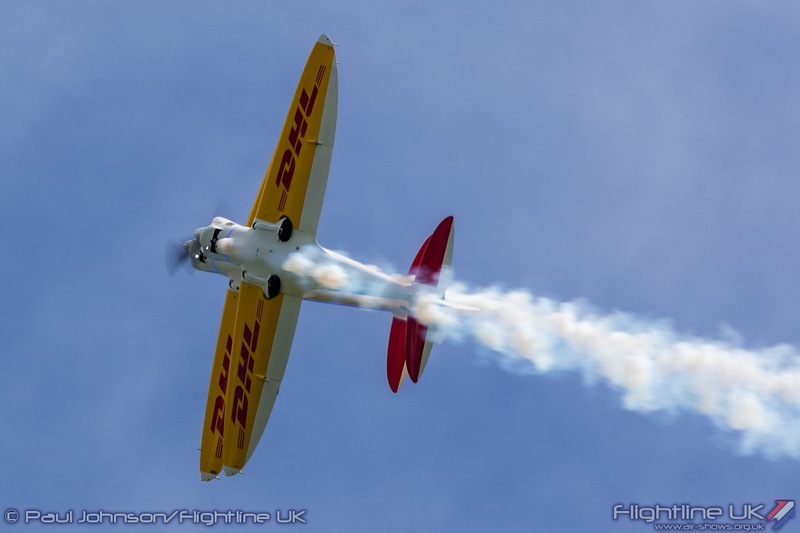 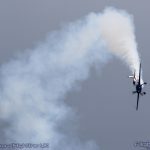 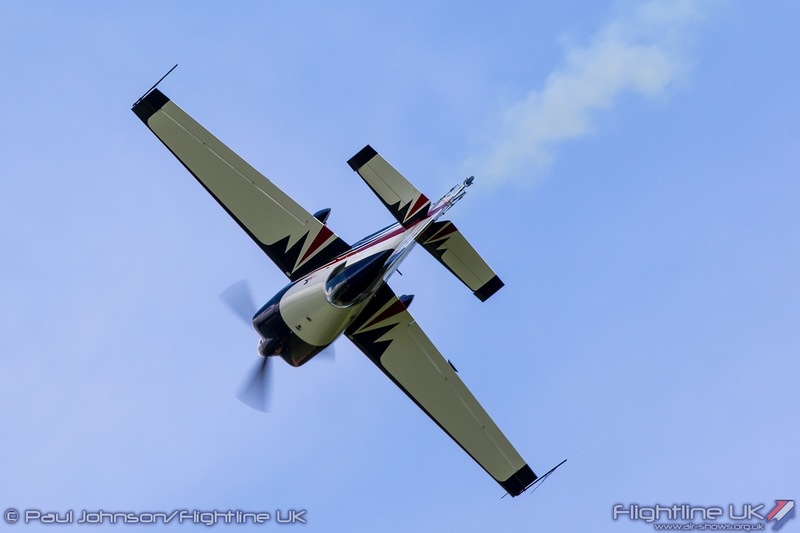 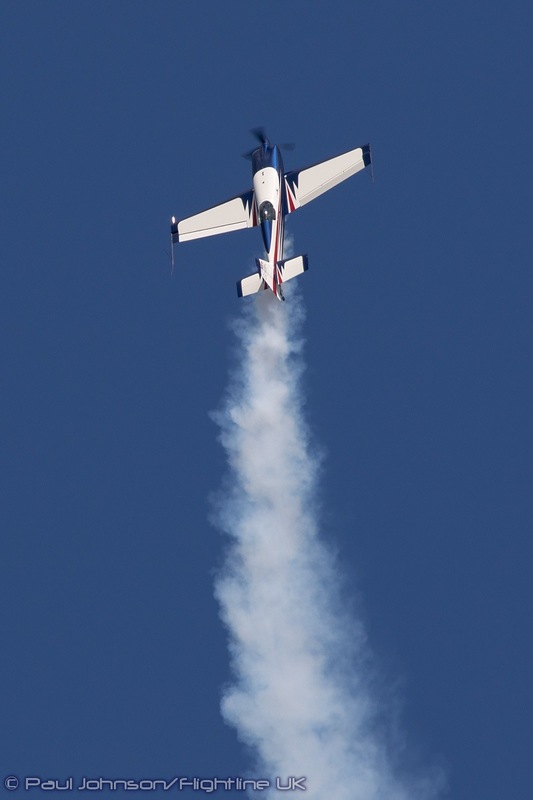 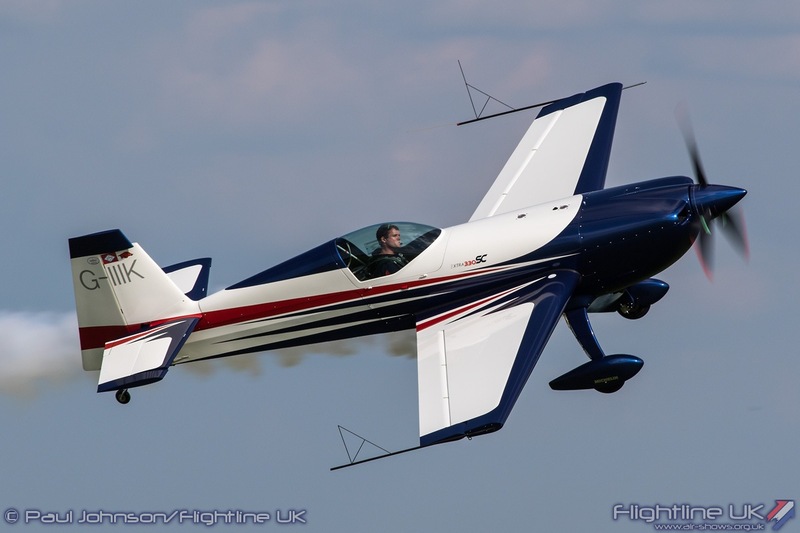 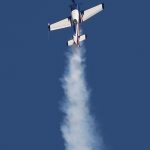 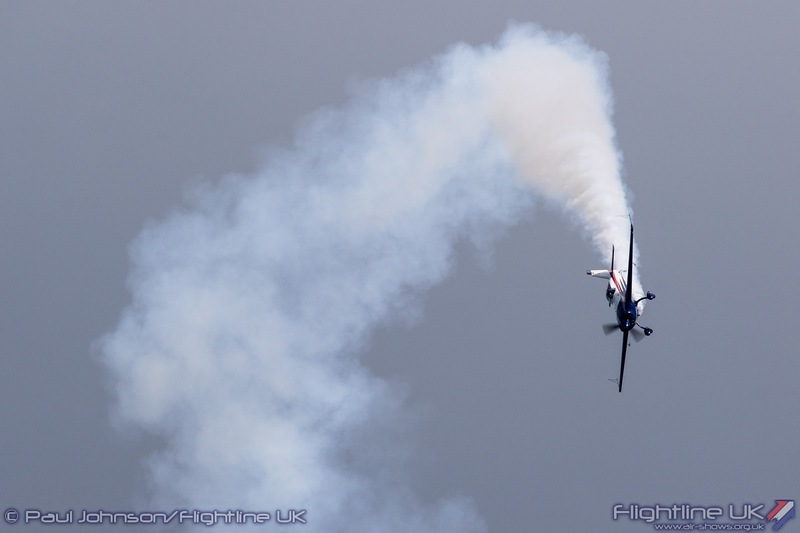 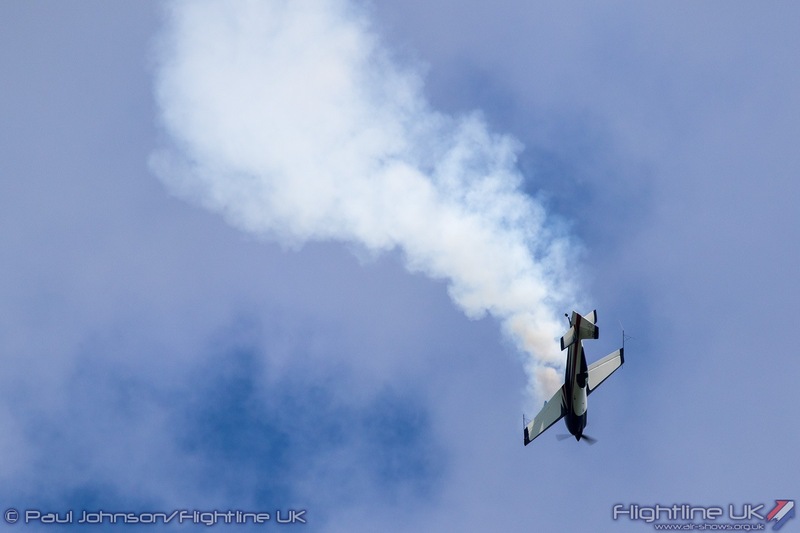 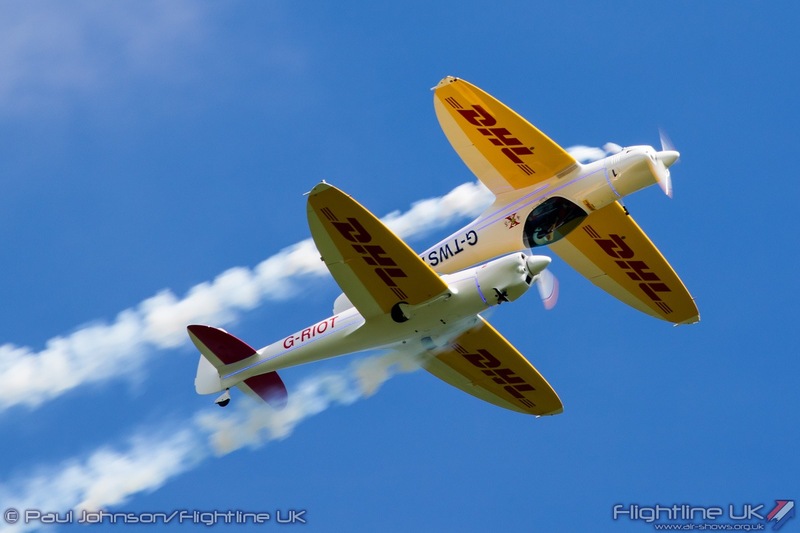 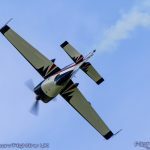 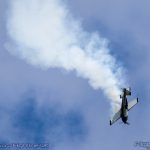 Solo unlimited aerobatics were left out with Simon Johnson giving an eye-catching display in the potent Extra 330SC. 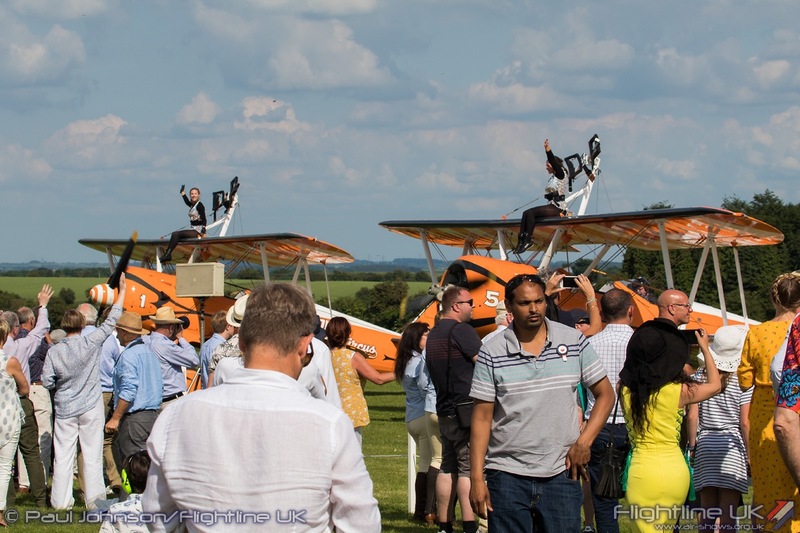 The home team, the Aerosuperbatics Wingwalkers, were one of the highlights of the afternoon presenting a very rare fourship display (possibly the only one of 2018). 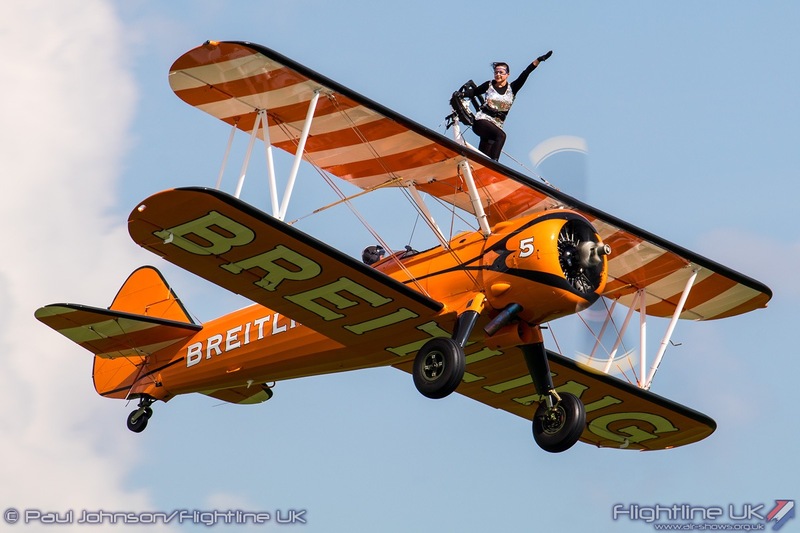 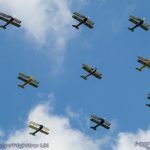 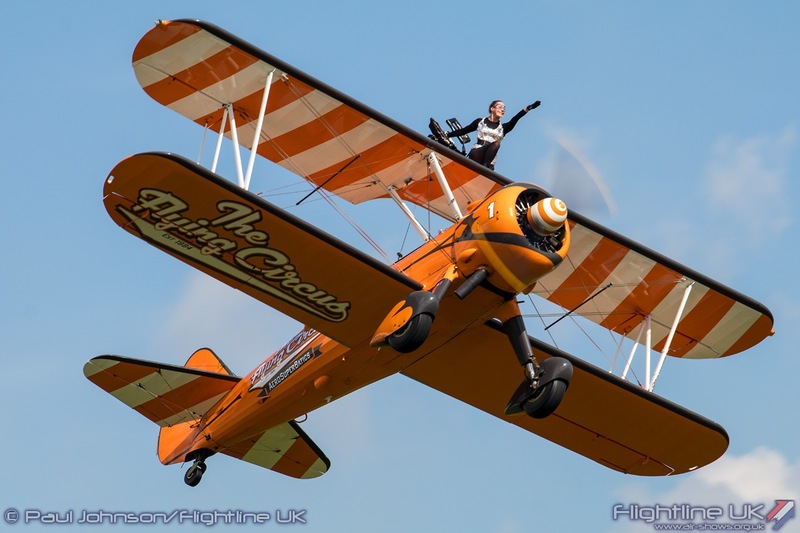 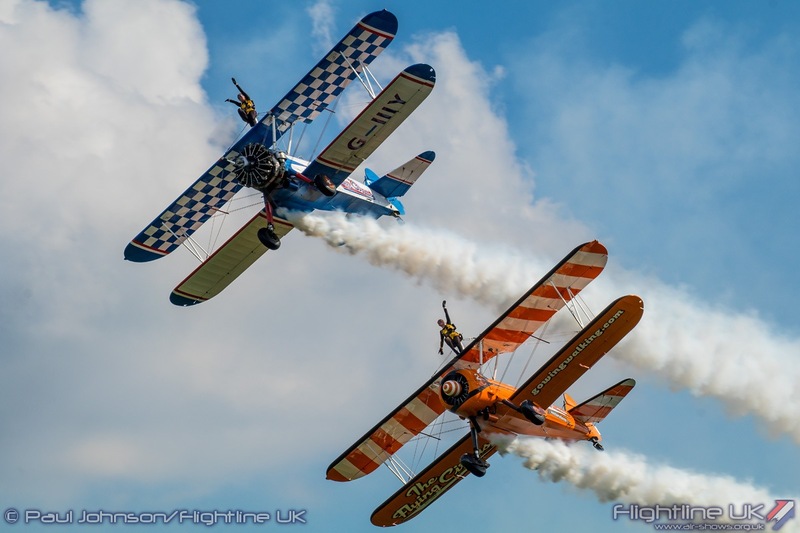 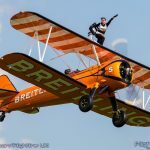 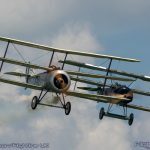 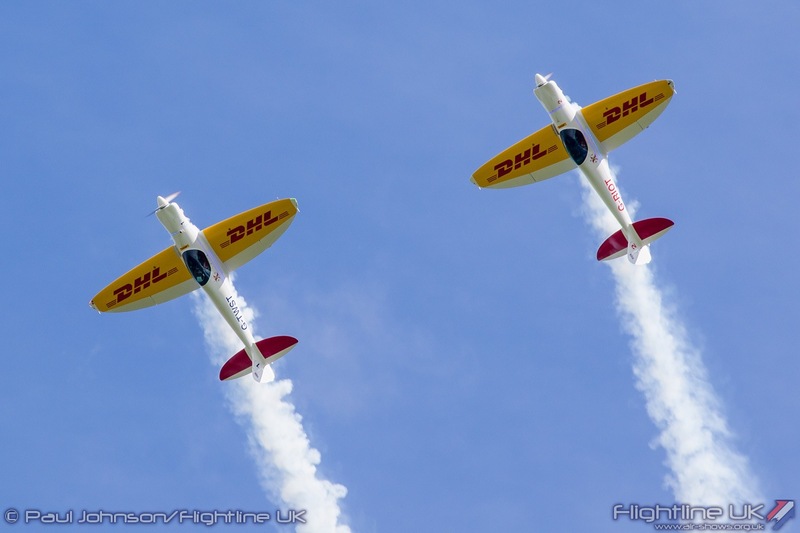 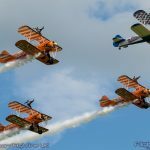 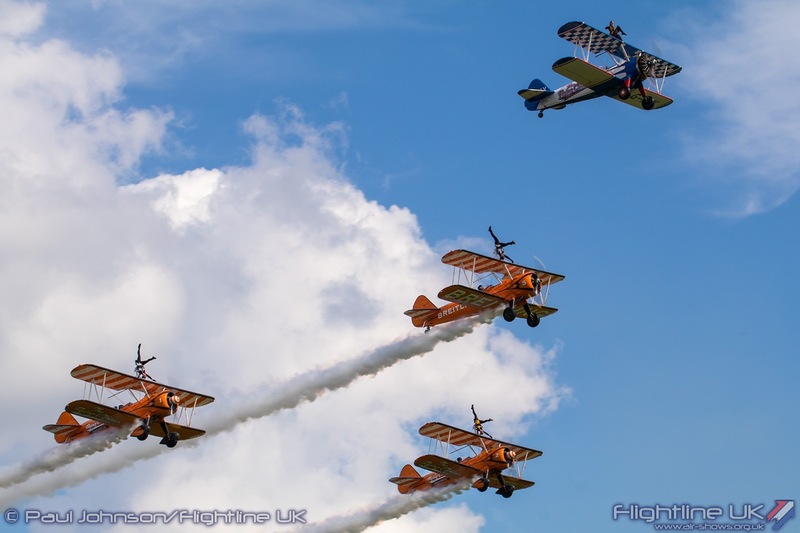 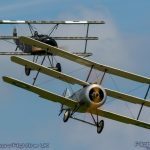 With the Breitling sponsorship coming to an end last year, the team now go under the guise of ‘The Flying Circus’ with the familiar orange biplanes receiving new logos and other details. 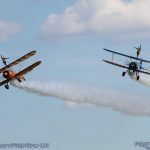 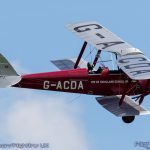 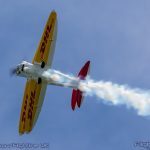 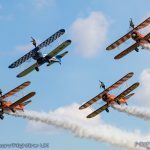 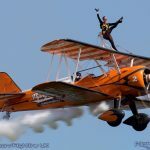 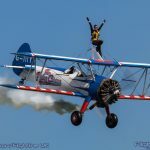 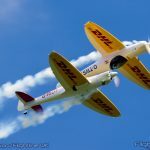 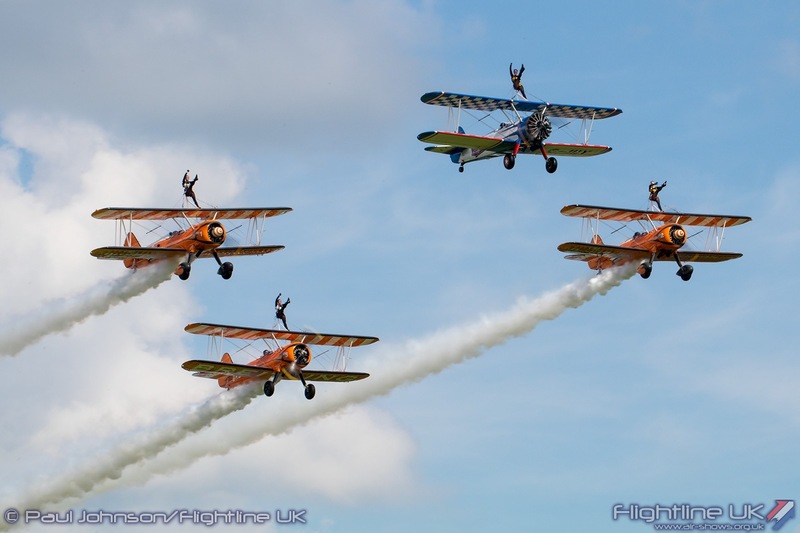 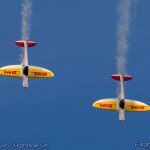 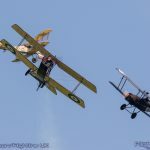 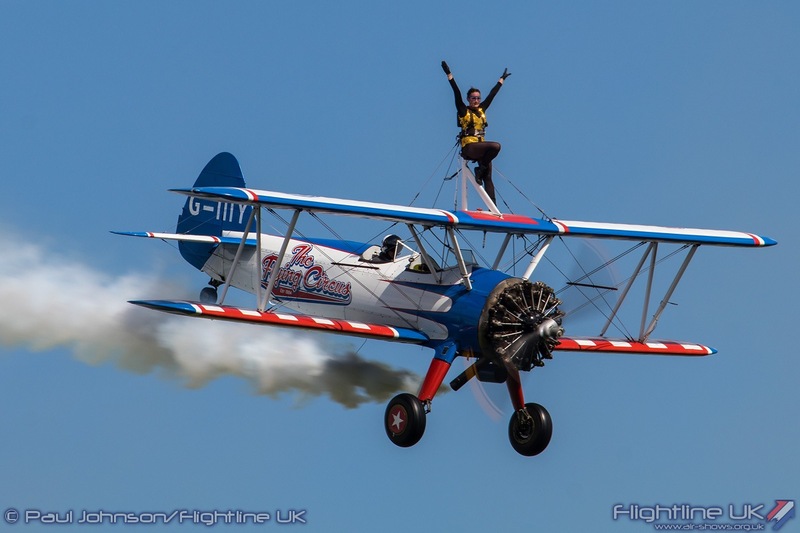 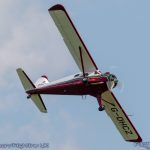 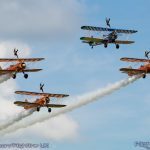 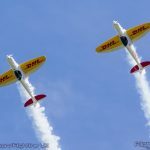 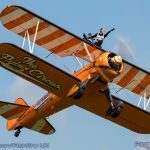 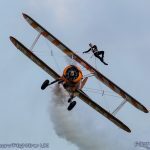 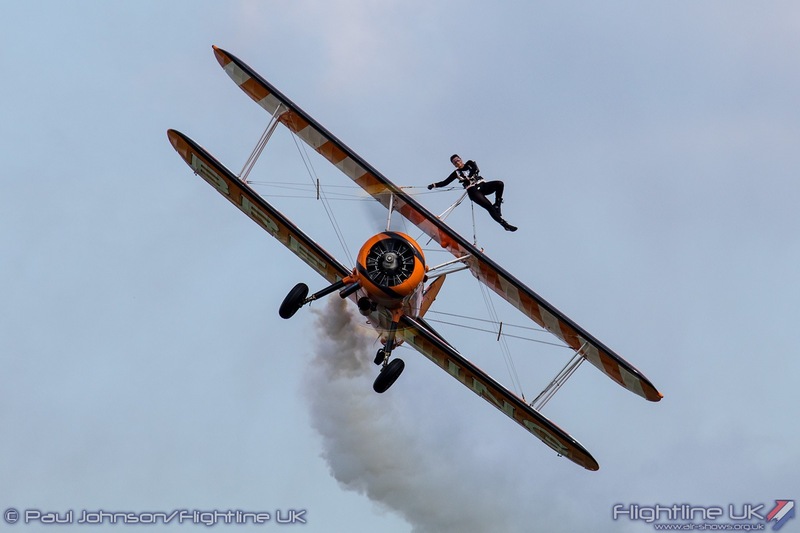 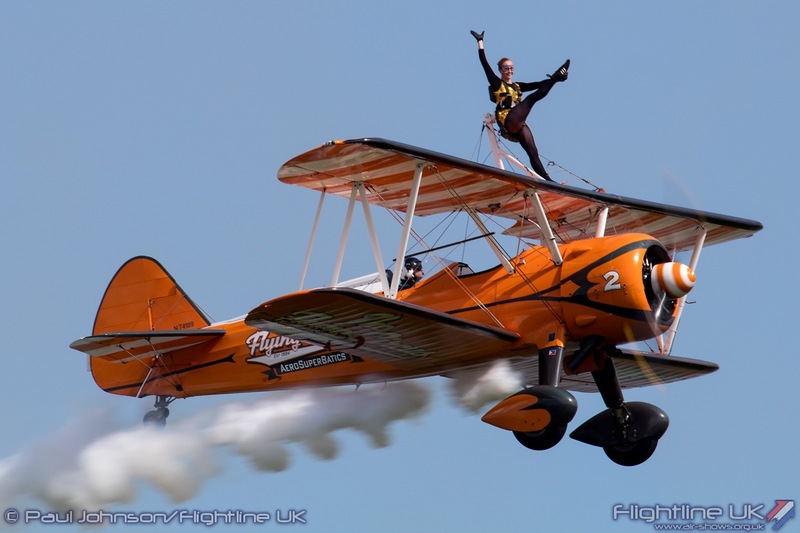 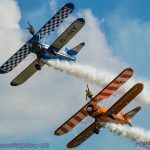 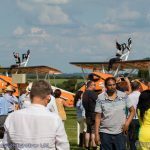 Aerosuperbatics also now offer wingwalking experiences to the public through ‘gowingwalking.com.’ Though they use the same Boeing Stearman biplanes, the experience aircraft wear a red, white and blue colour scheme. 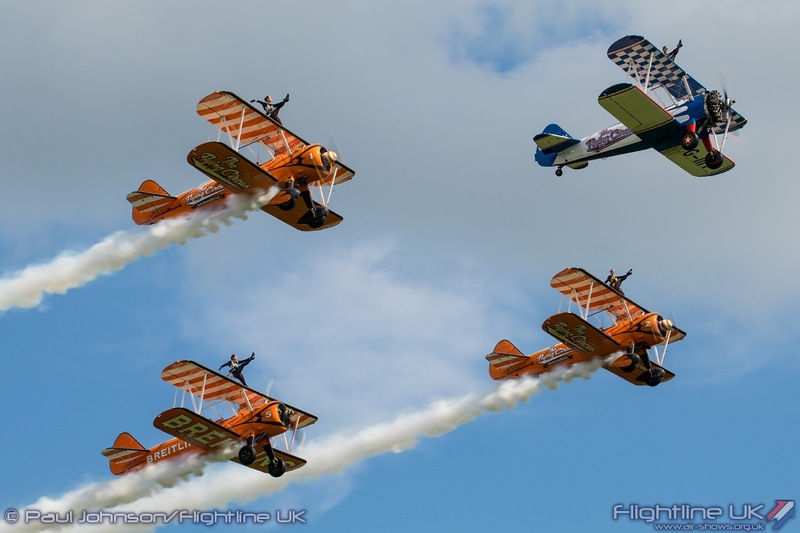 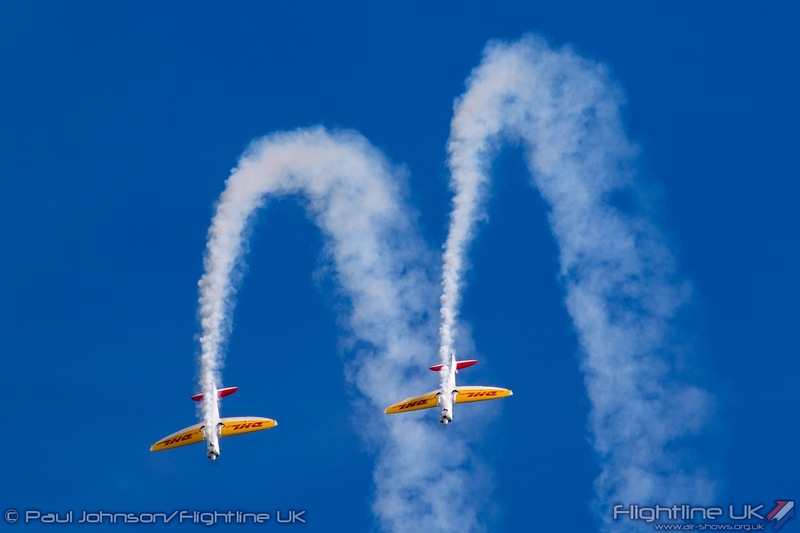 For their home display, the Wingwalkers entered into the spirit of the team’s new guise with circus themed outfits. 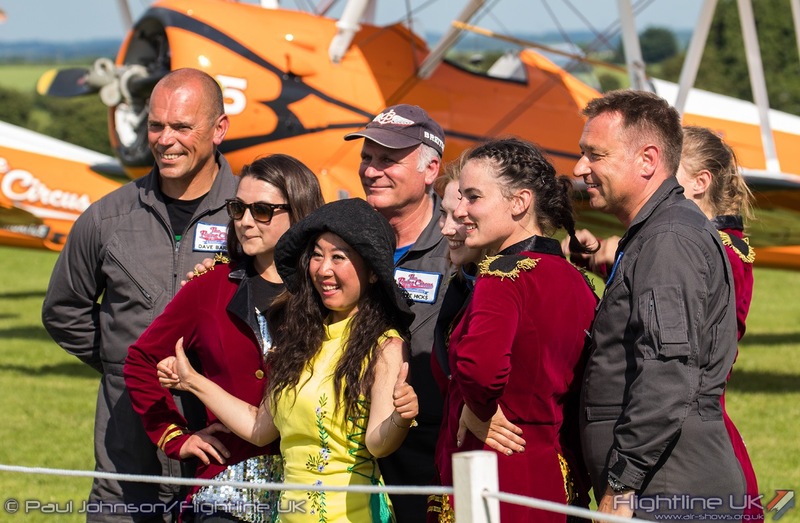 Some of the best known warbird operators also took part in the pageant. 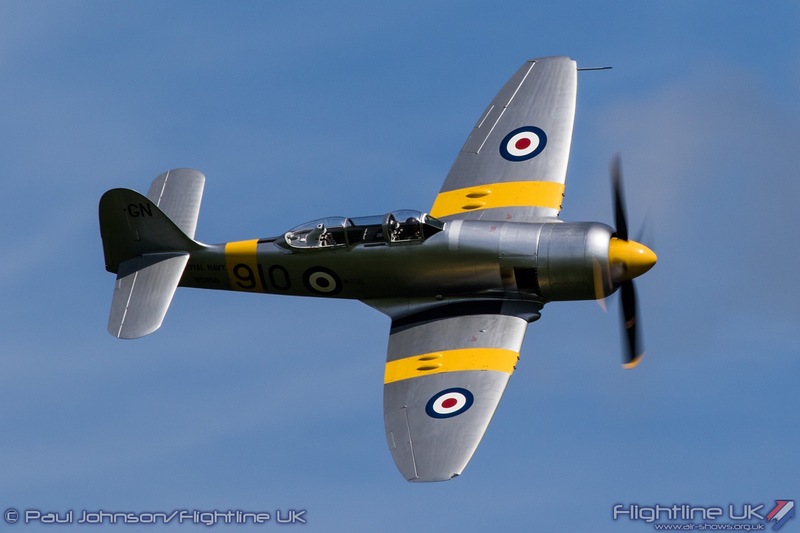 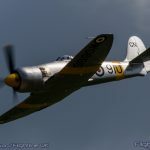 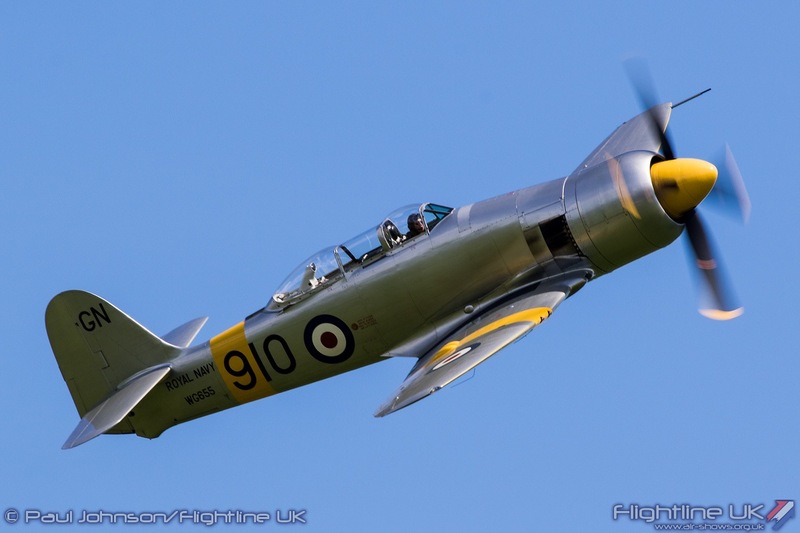 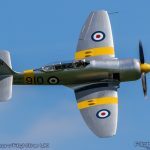 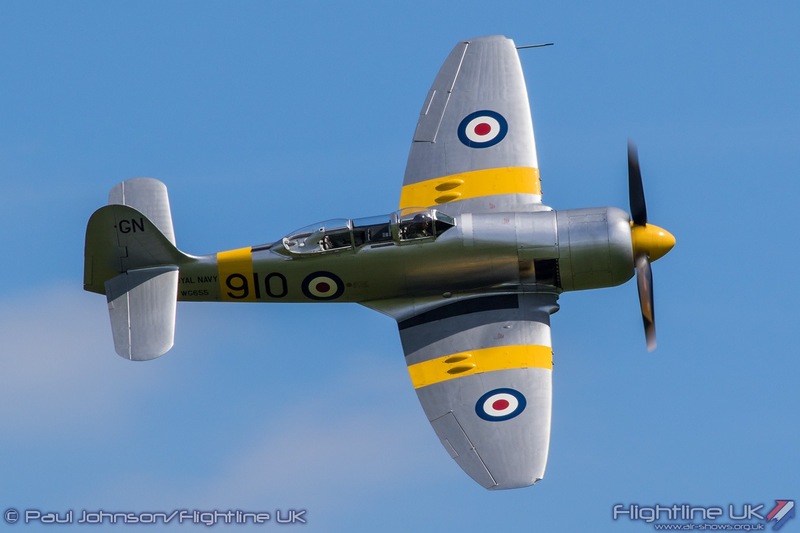 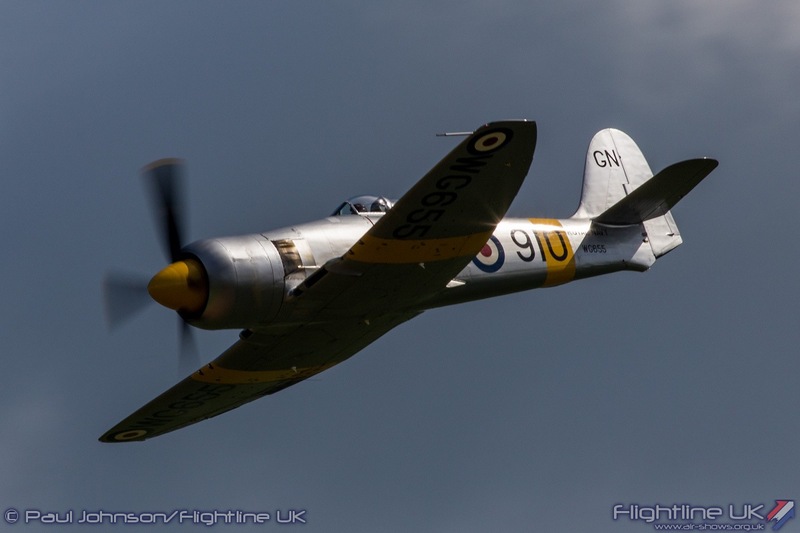 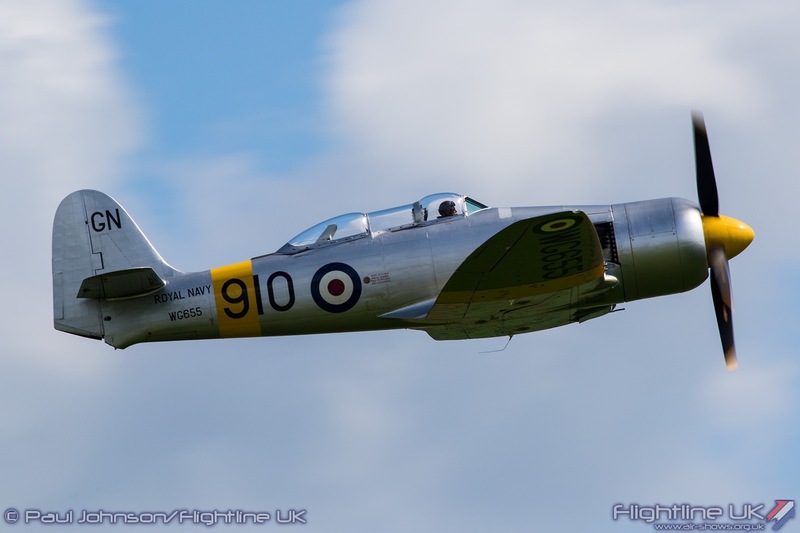 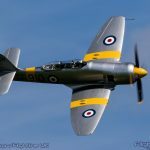 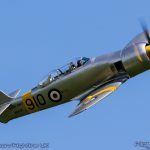 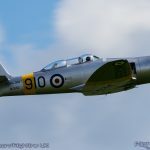 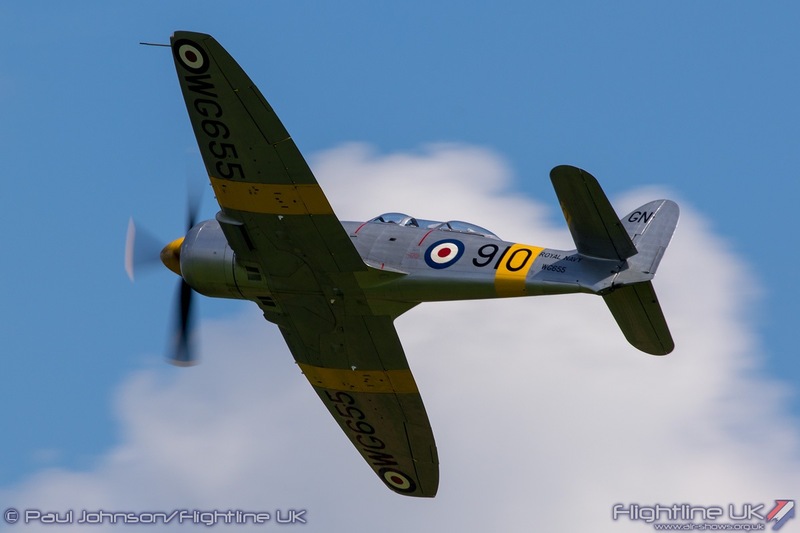 The Fighter Collection sent their Pratt & Whitney R2800 engined Hawker Sea Fury T20 for the display. 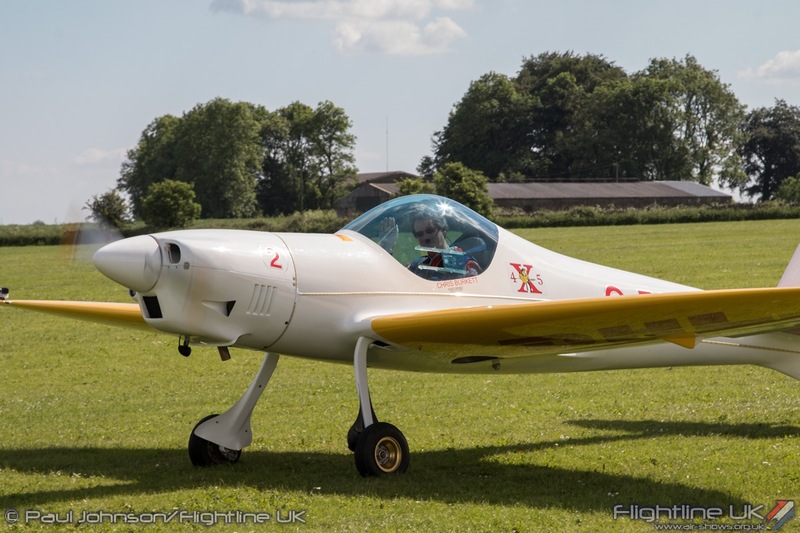 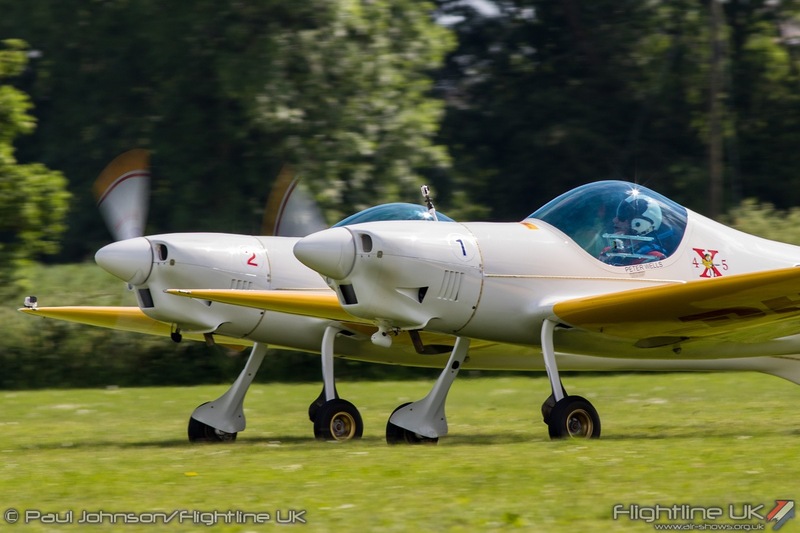 Rendcomb is quite a tight venue but Brian Smith gave a really outstanding account of the powerful piston fighter with some lovely curving passes, Cubans and barrel rolls. 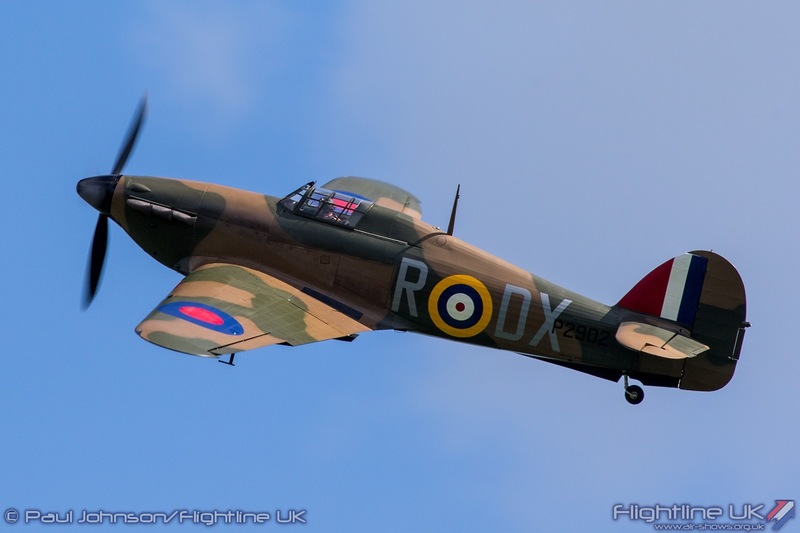 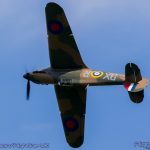 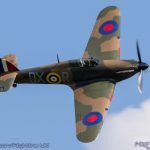 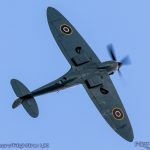 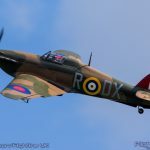 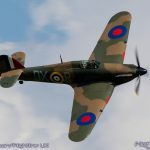 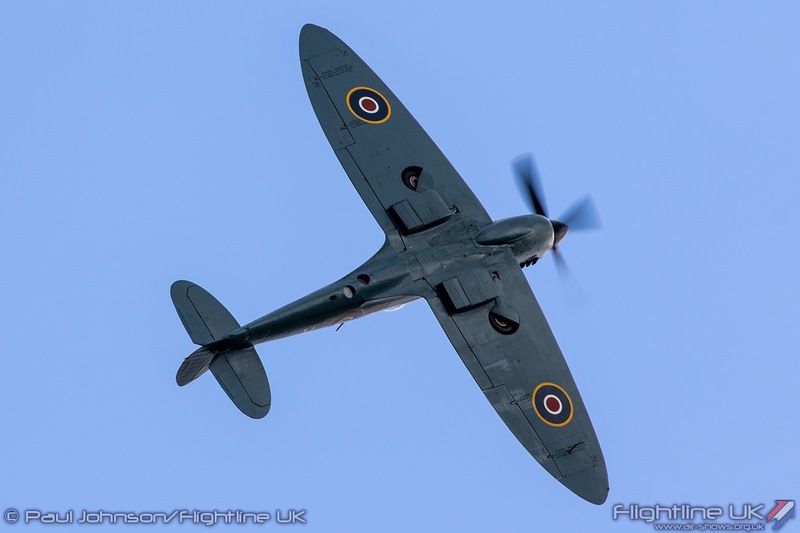 RAF100 celebrations would not be complete with examples of the Spitfire and Hurricane. 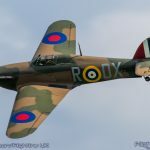 Richard Grace displayed Anglia Aircraft Restoration’s beautiful Hawker Hurricane I P2902 (G-ROBT). 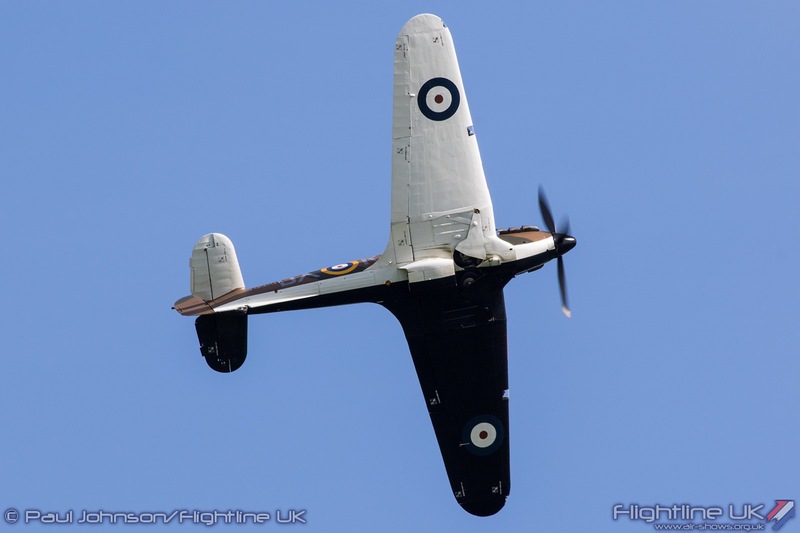 Original built at Gloster Aircraft in 1939, P2902 flew with 245 Squadron at Drem in Scotland. 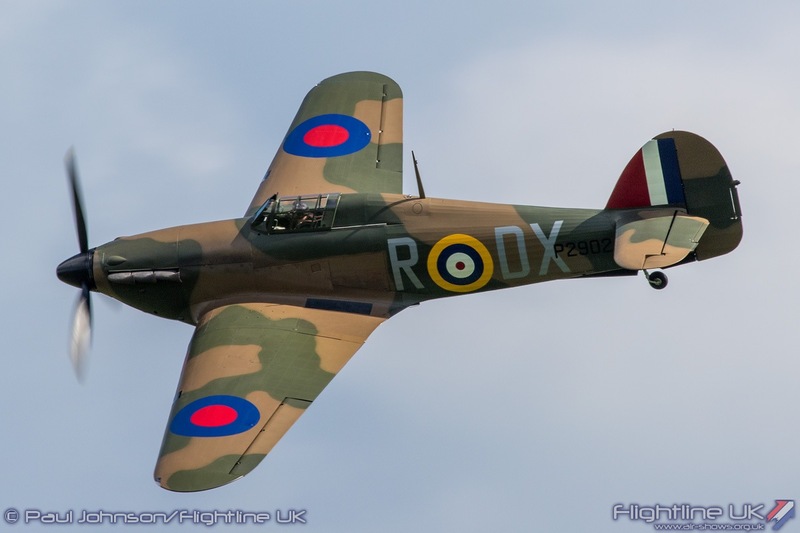 On the 31st May 1940, P2902 was in action over the beach of Dunkirk during the evacuation of allied troops flown by Pilot Officer Kenneth McGlashan. 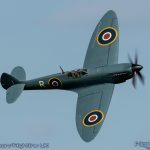 McGlashan was engaged by a Luftwaffe Messerschmitt Bf109 and the Hurricane was badly damaged forcing him to crash land on the beach. 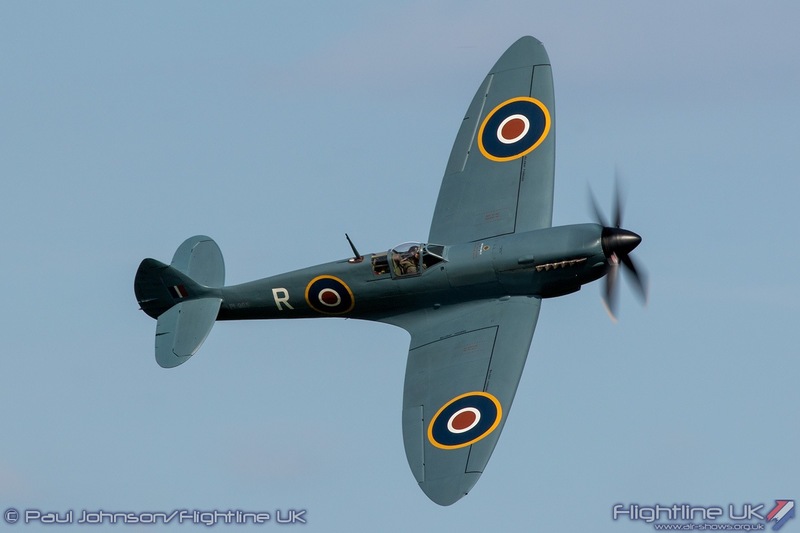 It was recovered in 1988 and has recently been restored on behalf of its current owner by Hawker Restorations. 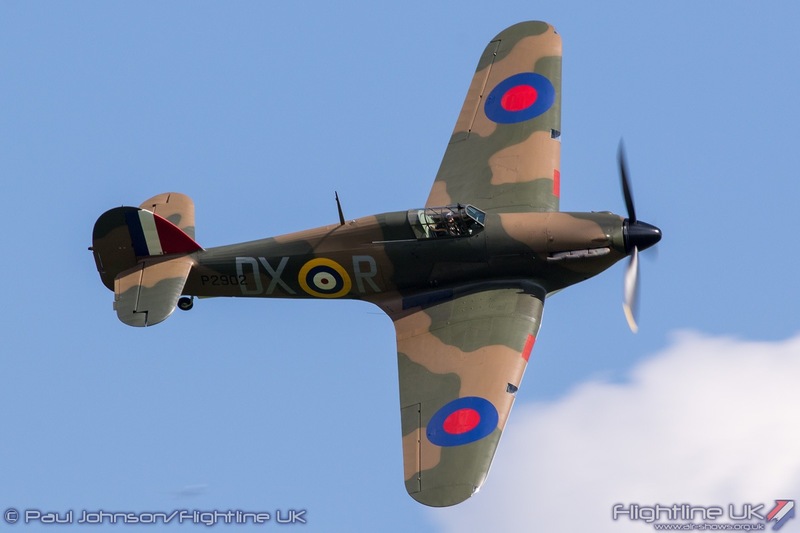 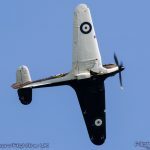 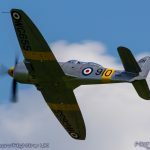 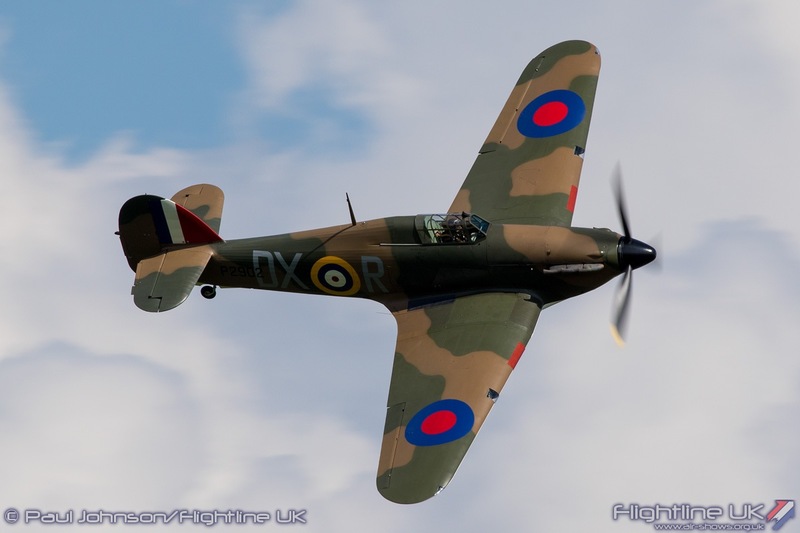 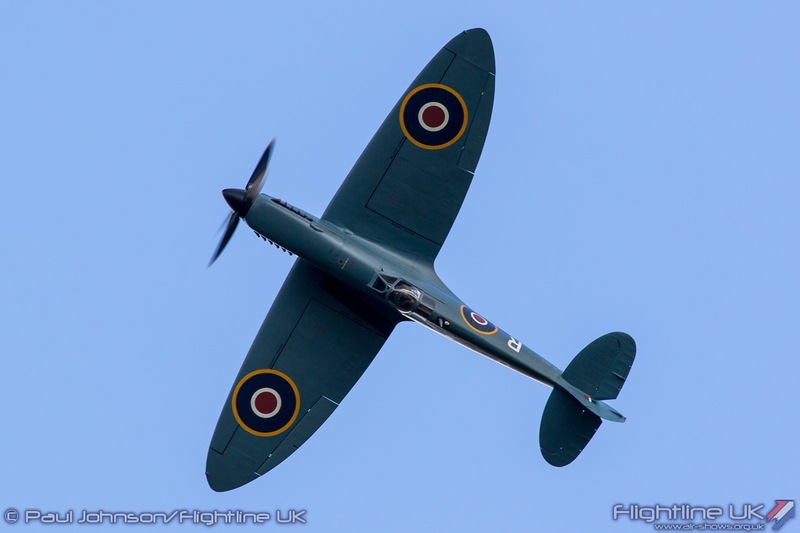 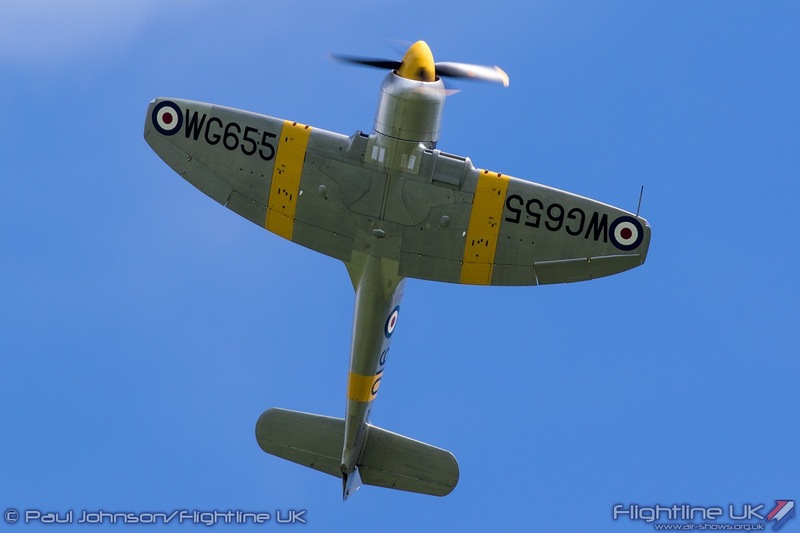 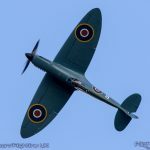 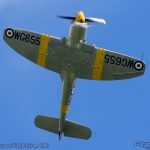 The main flying display was closed by Peter Teichman flying his Supermarine Spitfire PRXI in from nearby Kemble for a smooth display of aerobatics over Rendcomb. 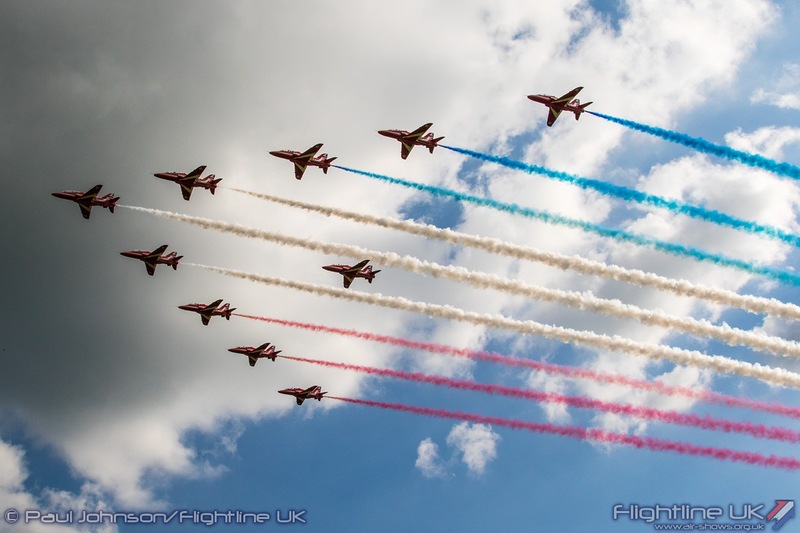 The current Royal Air Force and its personnel played a key role in the Air Pageant. 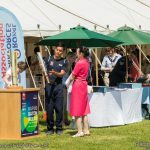 Members of the service (both full-time and reservists) were joined by the Air Cadets and played an important role in the smooth running of the whole event. 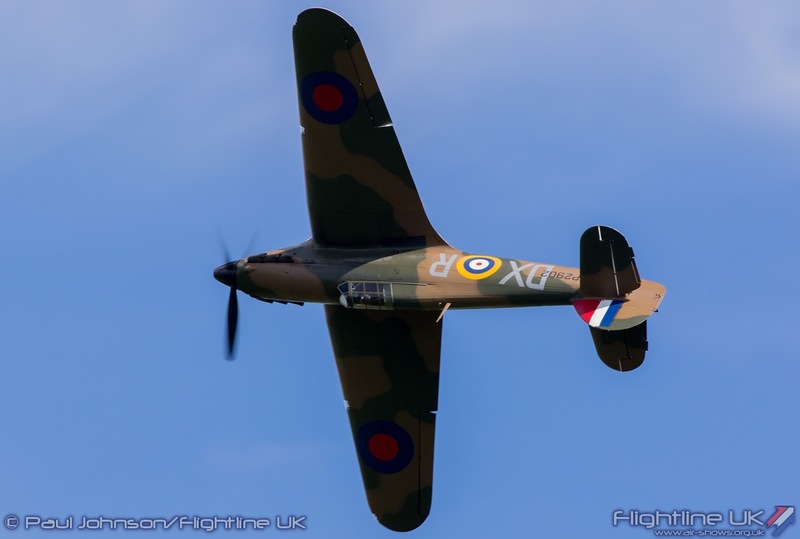 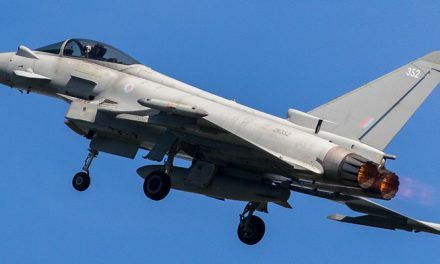 In the air, there were three contributions from the RAF. 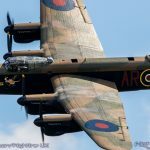 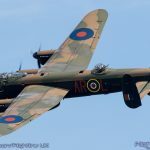 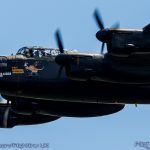 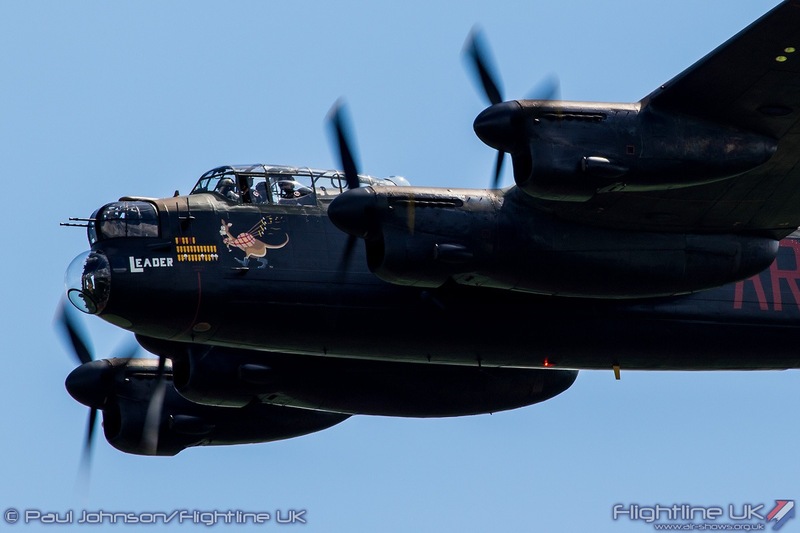 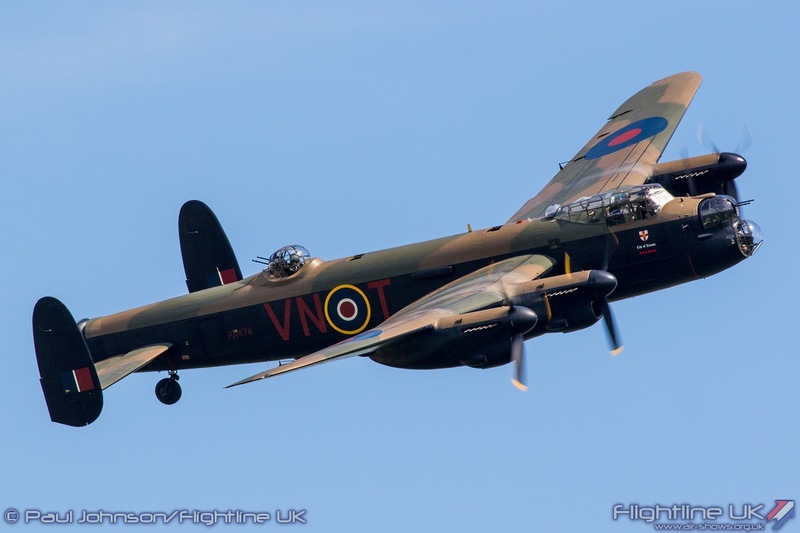 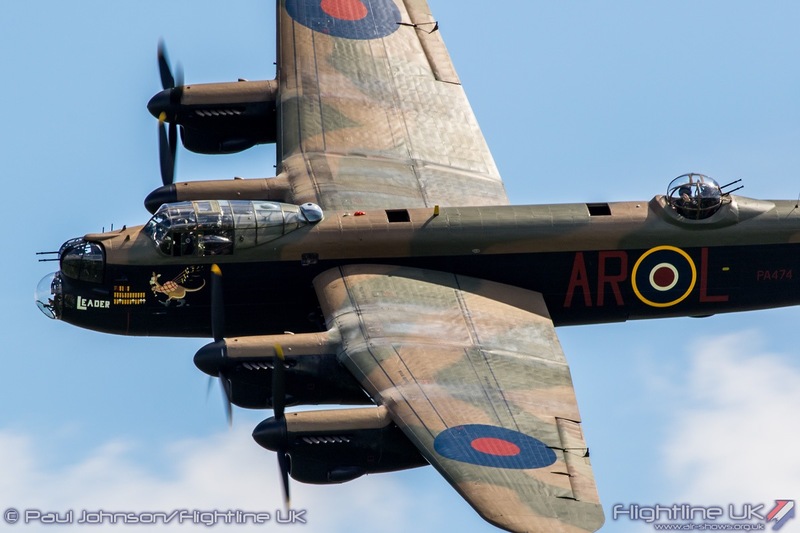 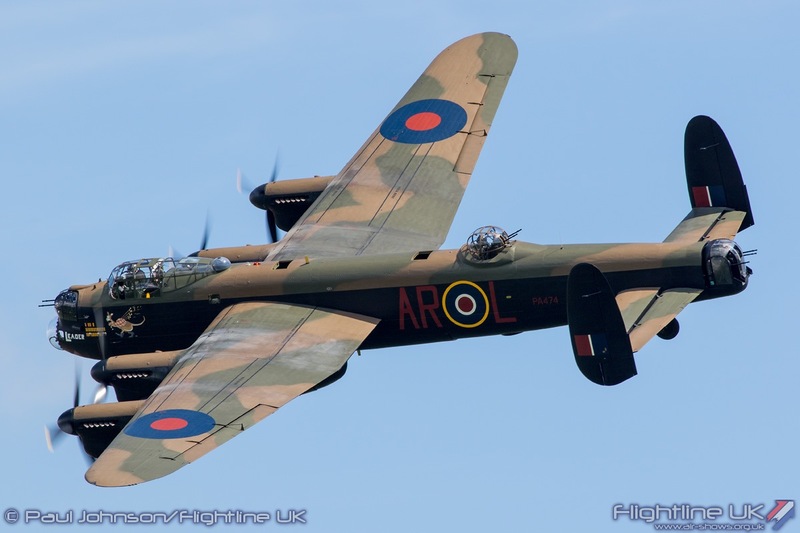 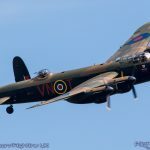 The Battle of Britain Memorial Flight’s Avro Lancaster B1 performed three curving passes on its way home from the Torbay Airshow. 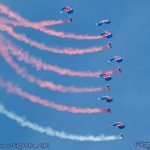 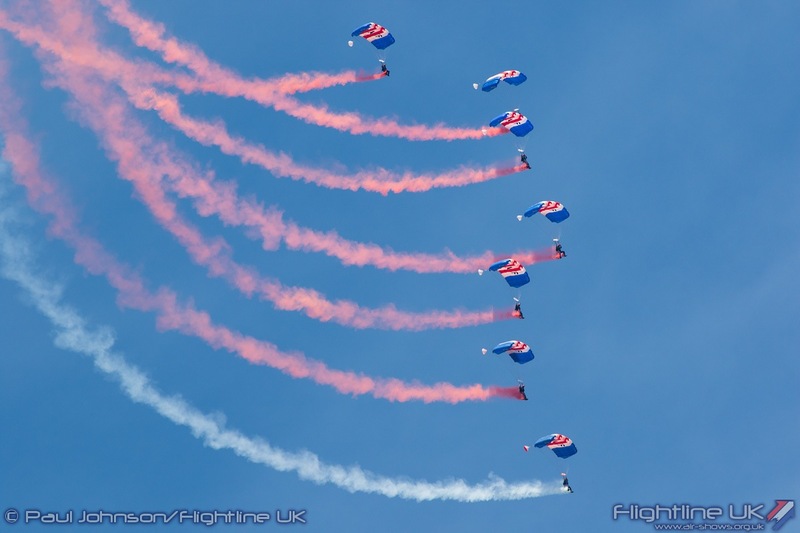 It was followed in short order by the RAF Falcons Parachute Display Team who are relative locals to Rendcomb being based at RAF Brize Norton. 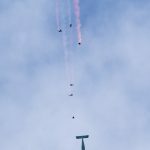 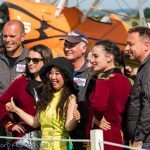 The team jumped from their Dornier Do228 which had taken them to 10,000ft above the Cotswolds allowing the team to perform a full show. 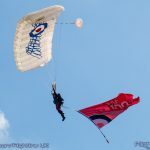 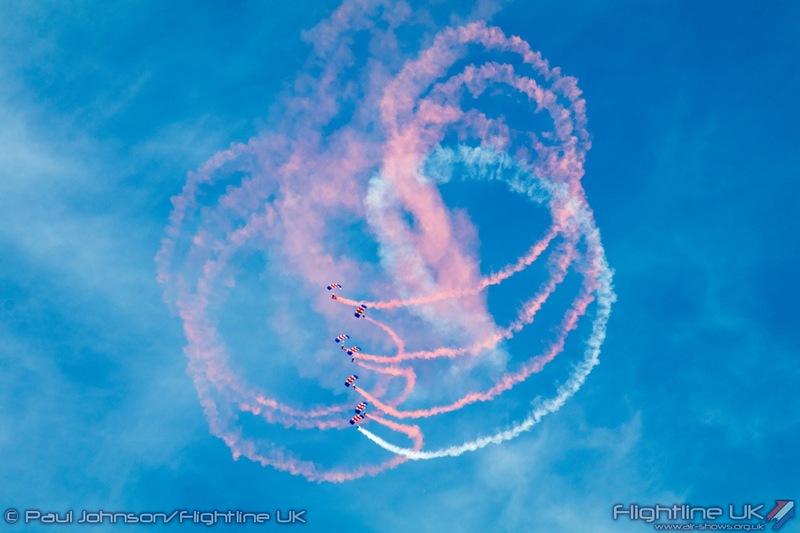 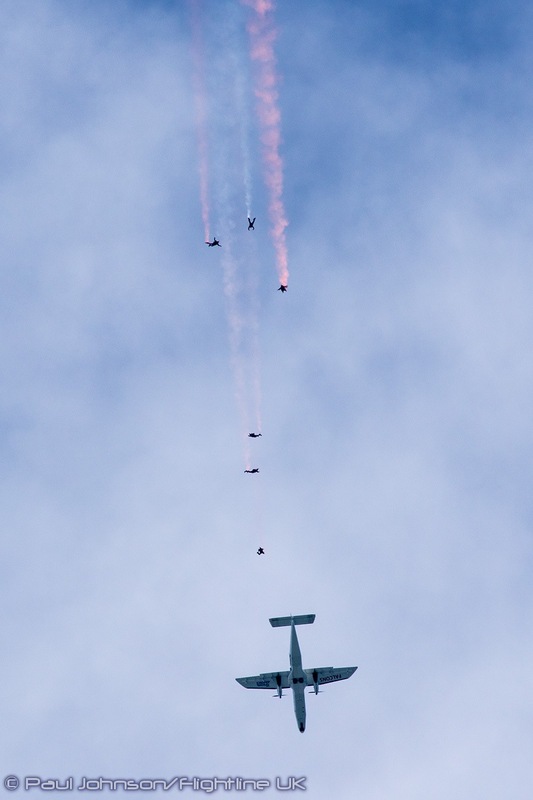 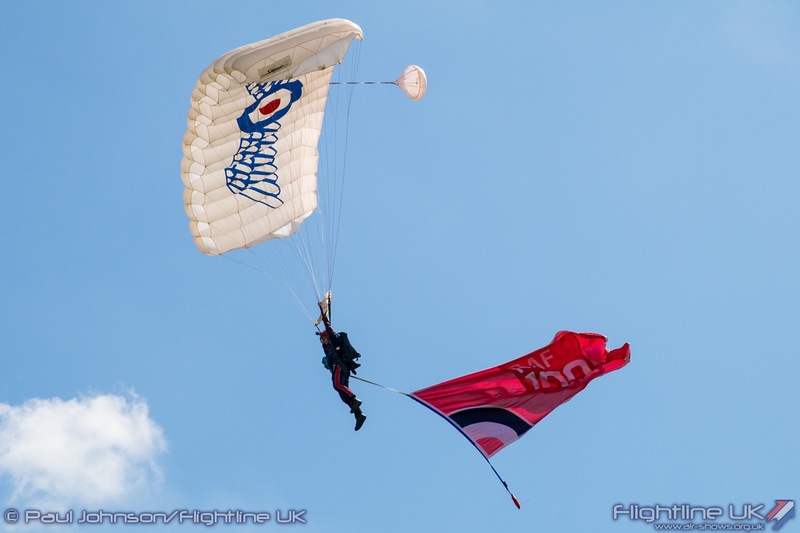 As well as the famous ‘Falcons Stack’ display, the extra height also allowed the team to show off some freefall work before releasing their canopies. 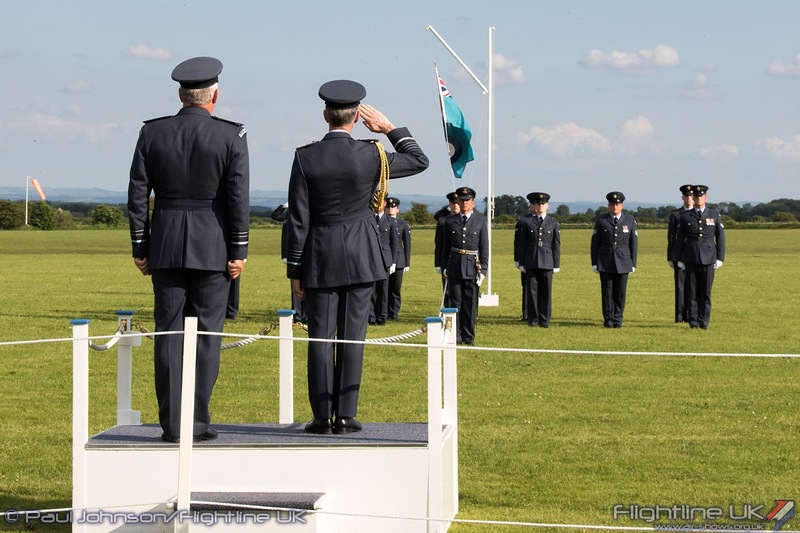 Once on the ground they took the salute from the Chief of the Air Staff, Air Chief Marshall Sir Stephen Hillier. 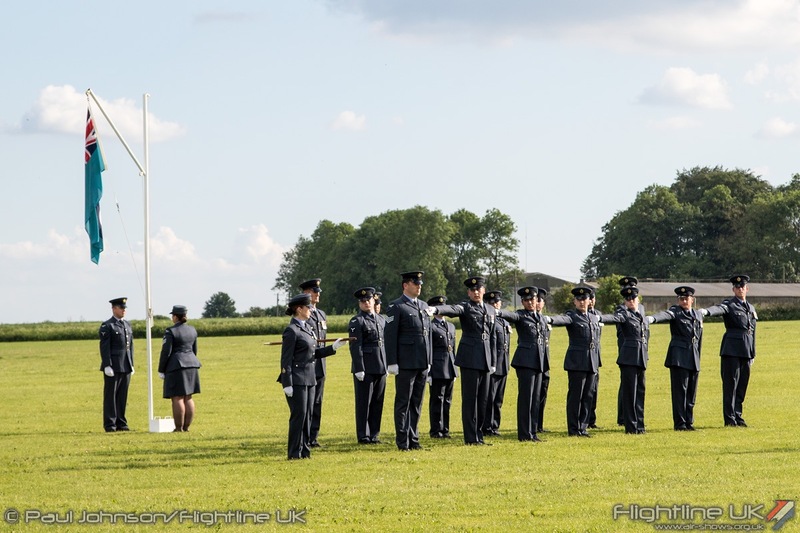 The event finale was a traditional Royal Air Force sunset ceremony which saw the RAF ensign lowered from the flag pole. 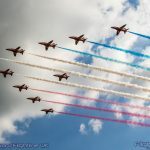 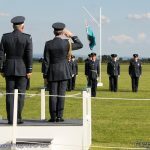 The start of the flag-lowering was marked by a flypast by the RAF Red Arrows trailing red, white and blue smoke as the salute was once again taken by ACM Sir Stephen Hillier. 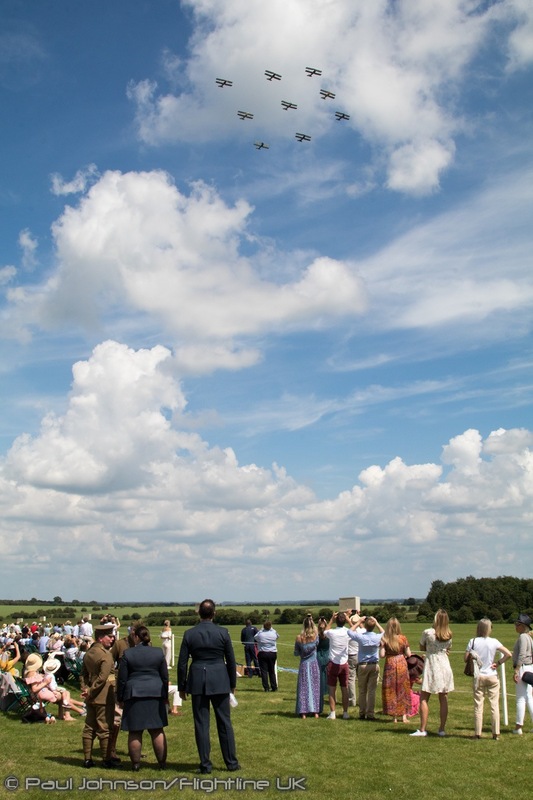 The ceremony brought the end to a truly memorable day with some really superb flying in a a very beautiful location. 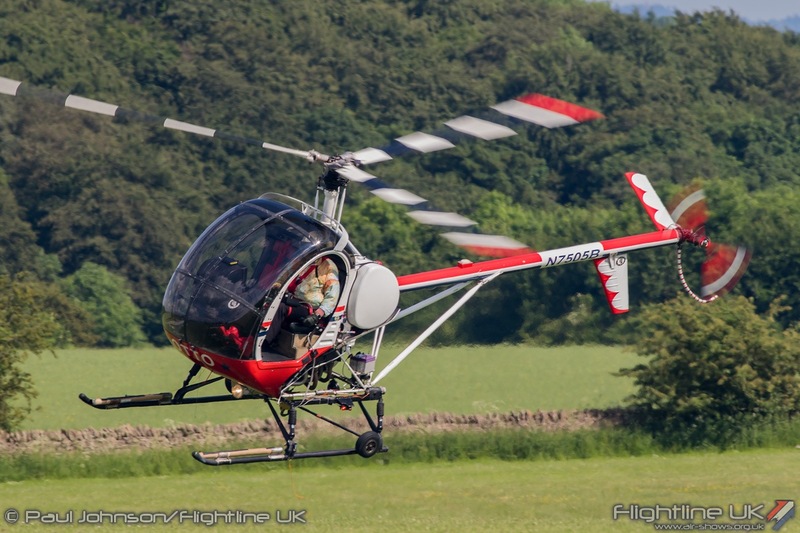 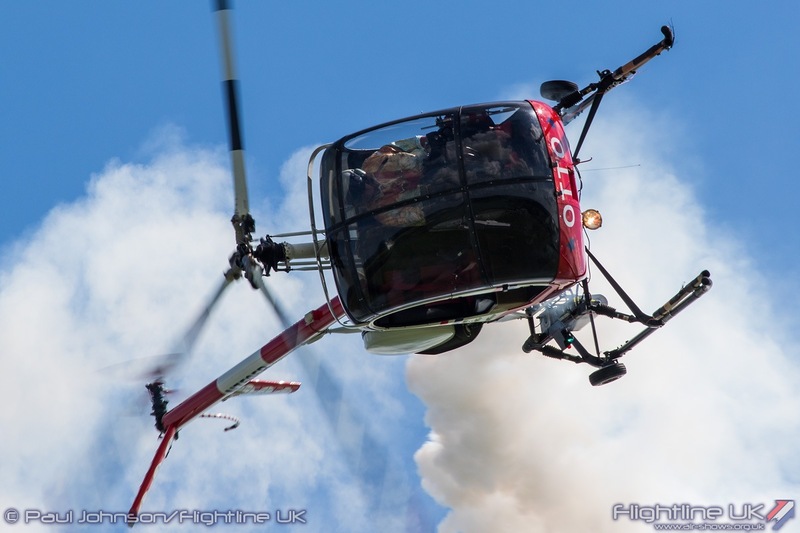 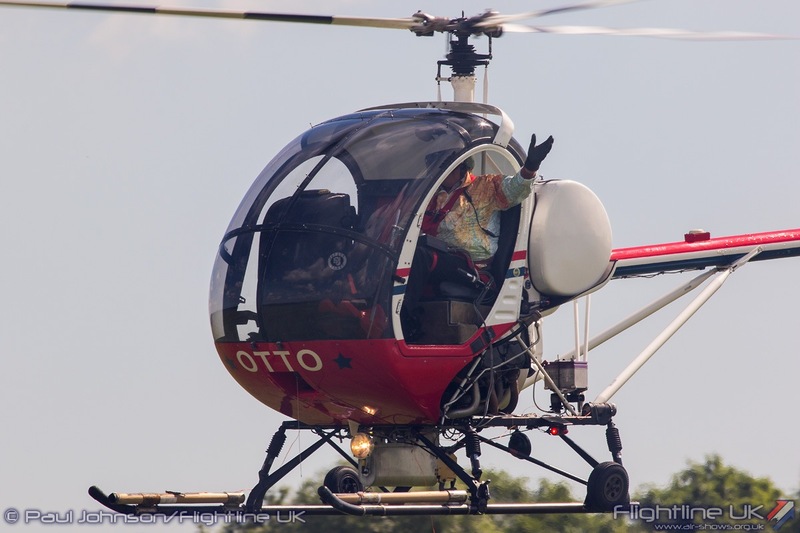 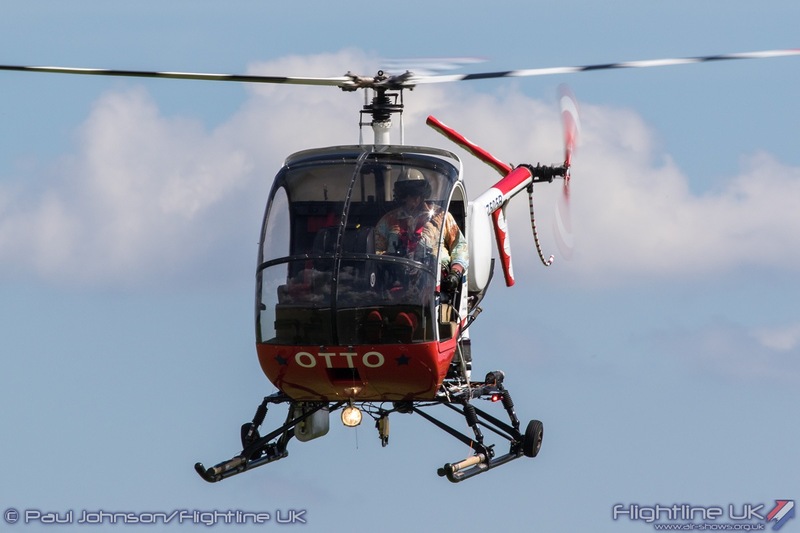 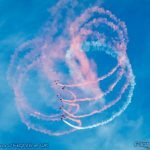 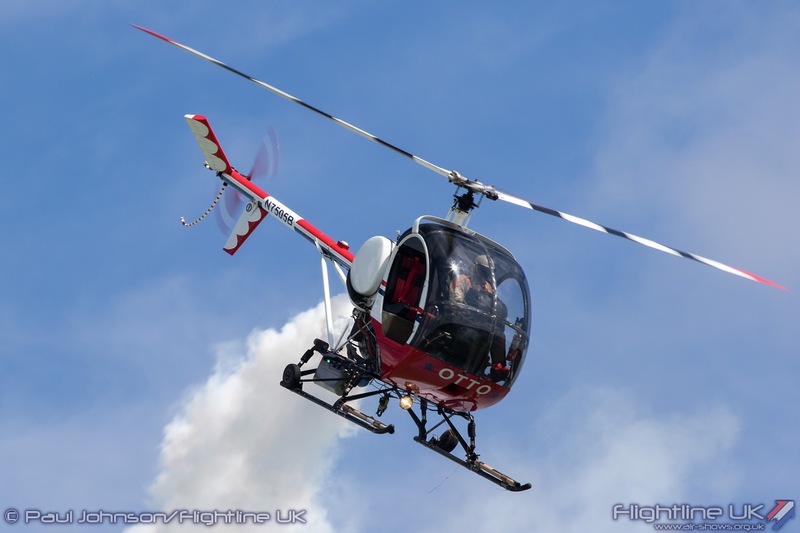 We would like to thank Vic and Martyn at Aerosuperbatics for the invitation to the Pageant.